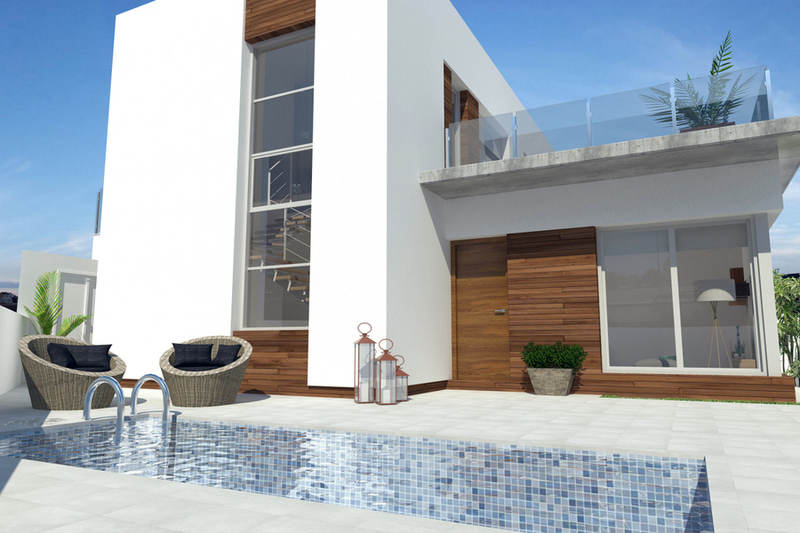 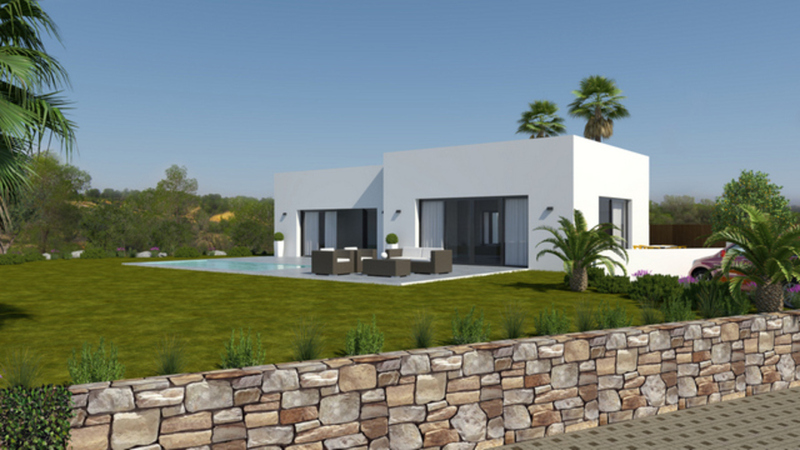 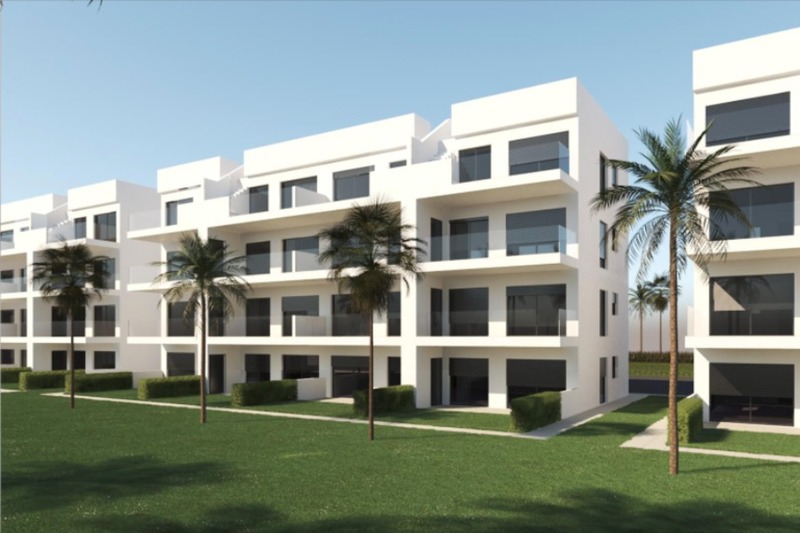 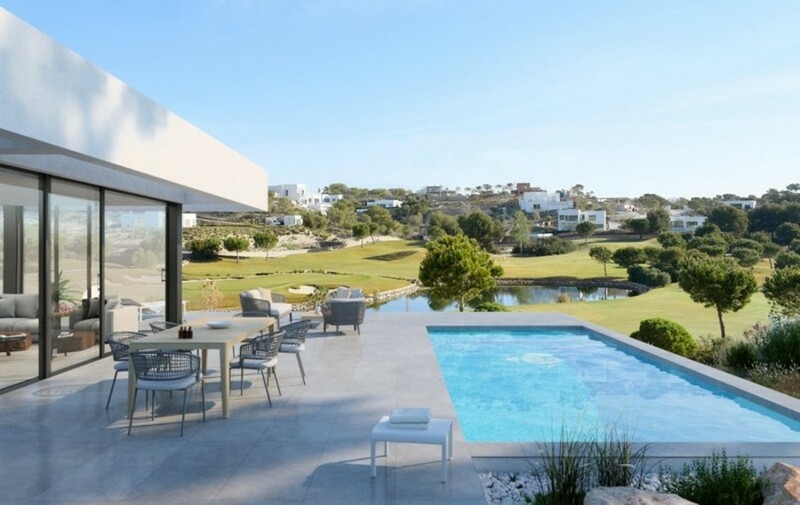 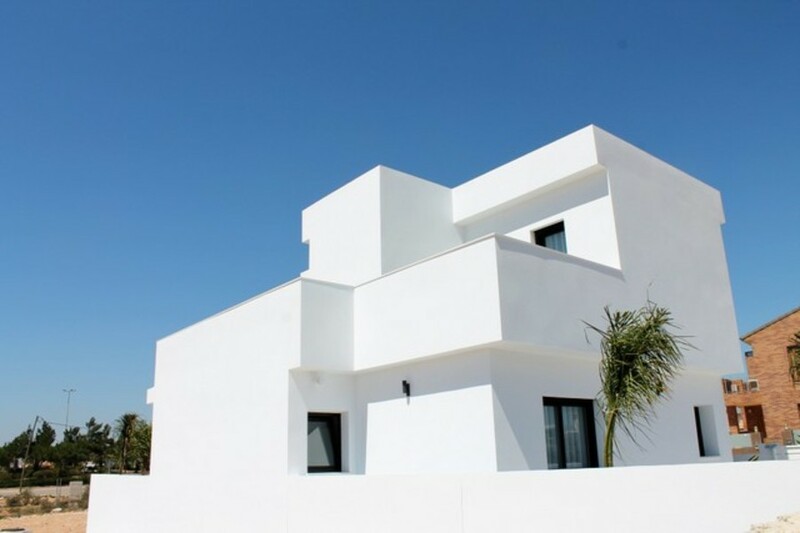 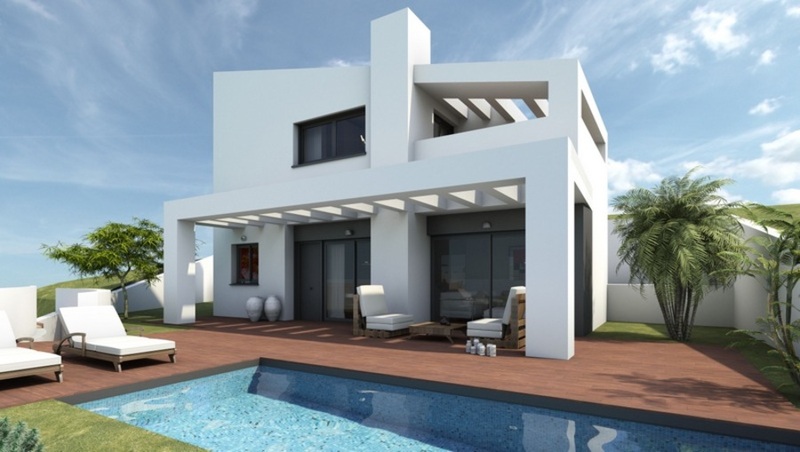 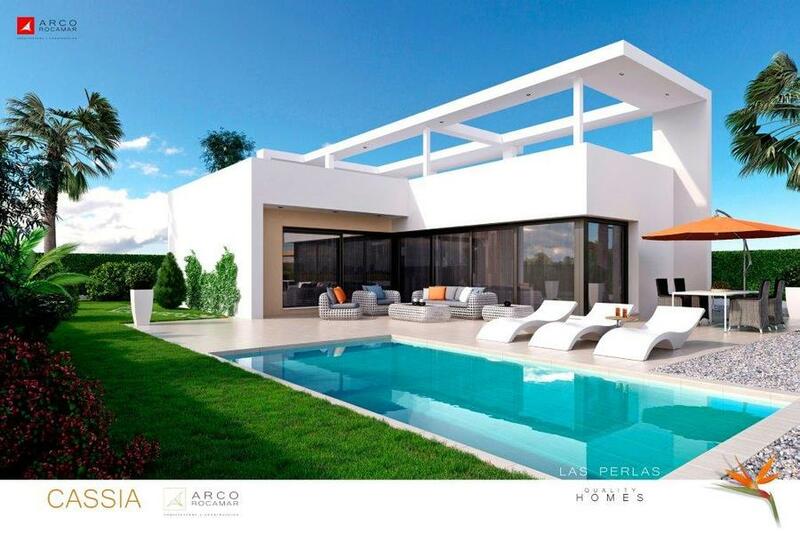 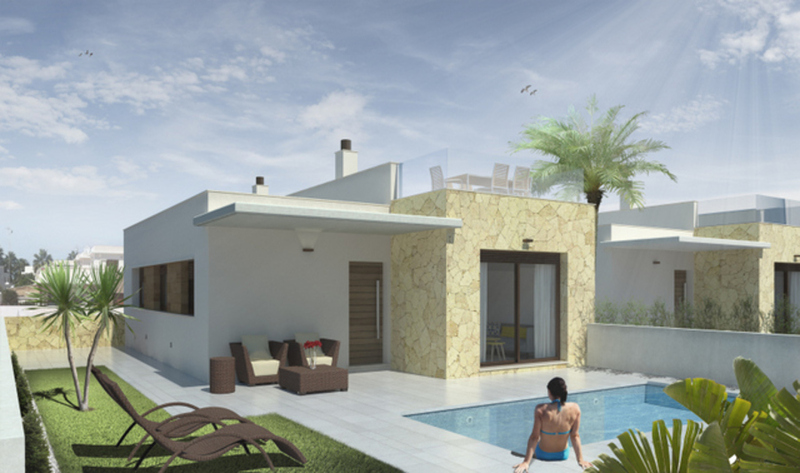 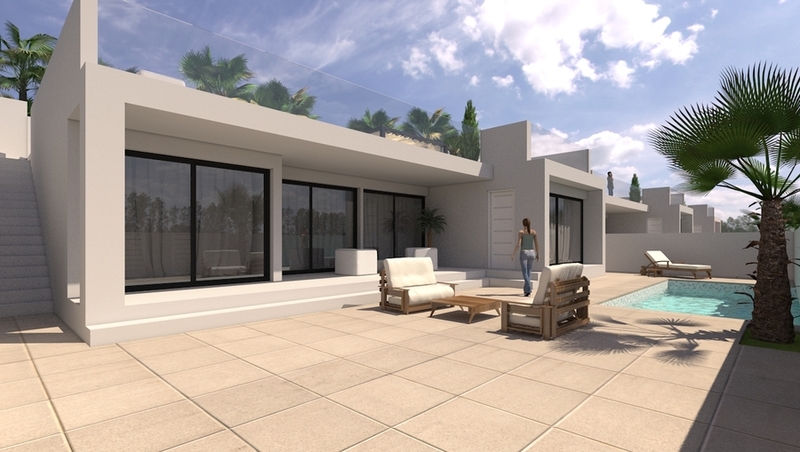 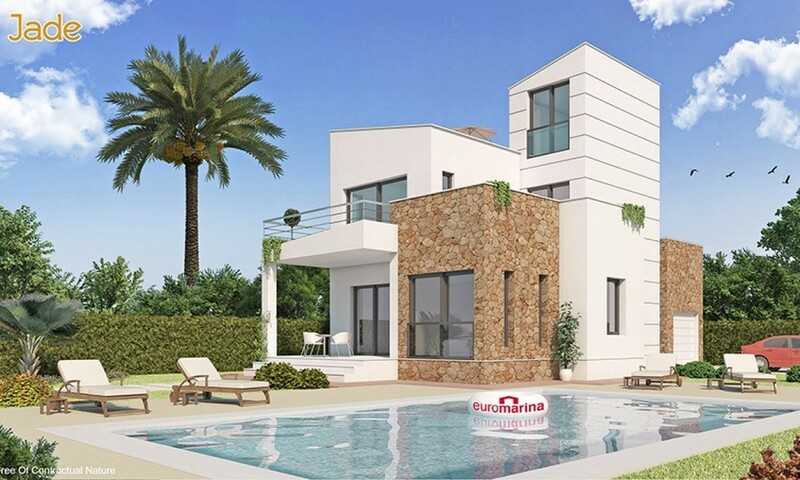 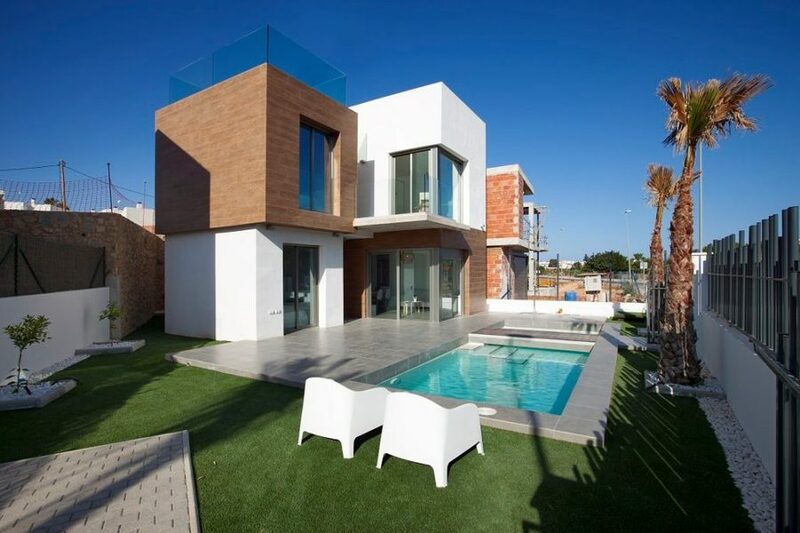 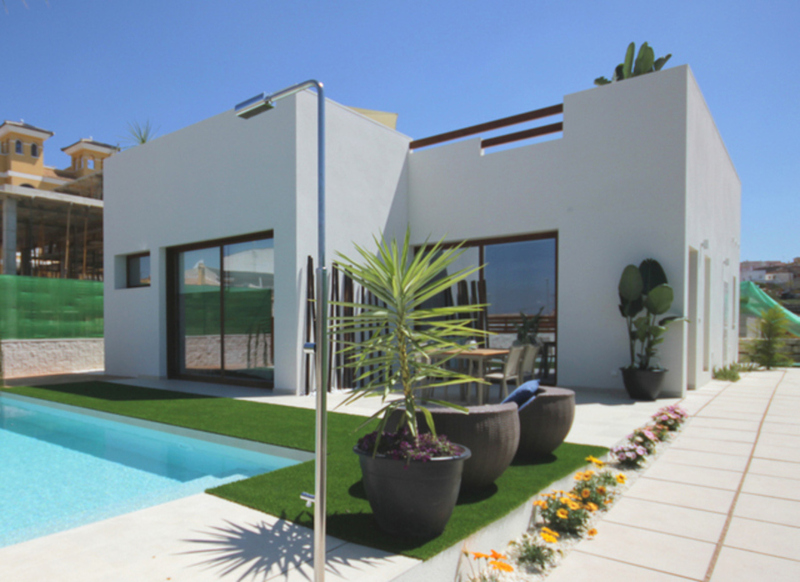 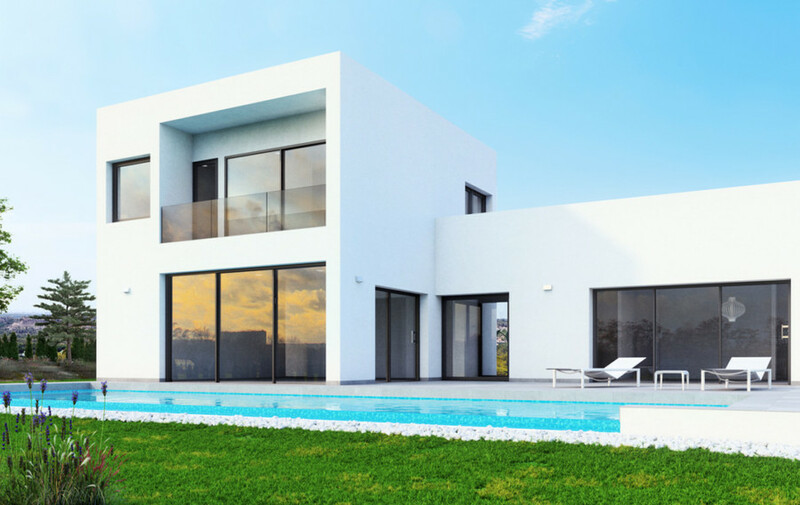 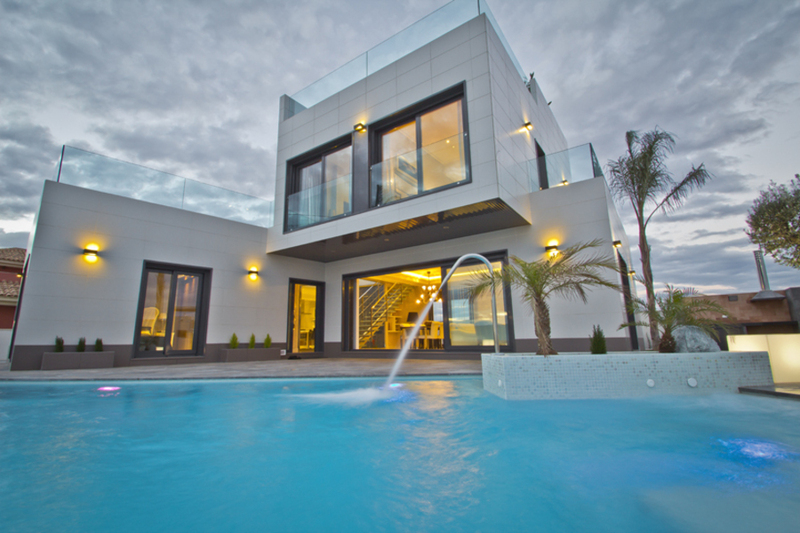 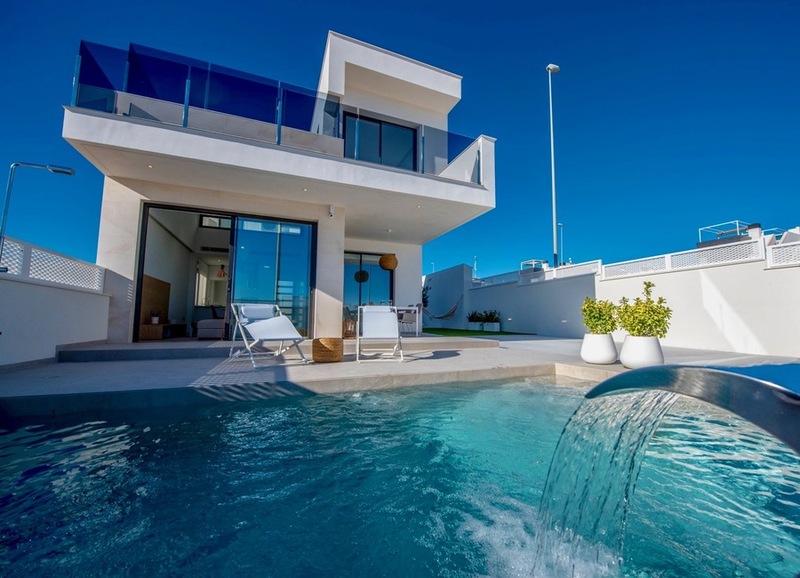 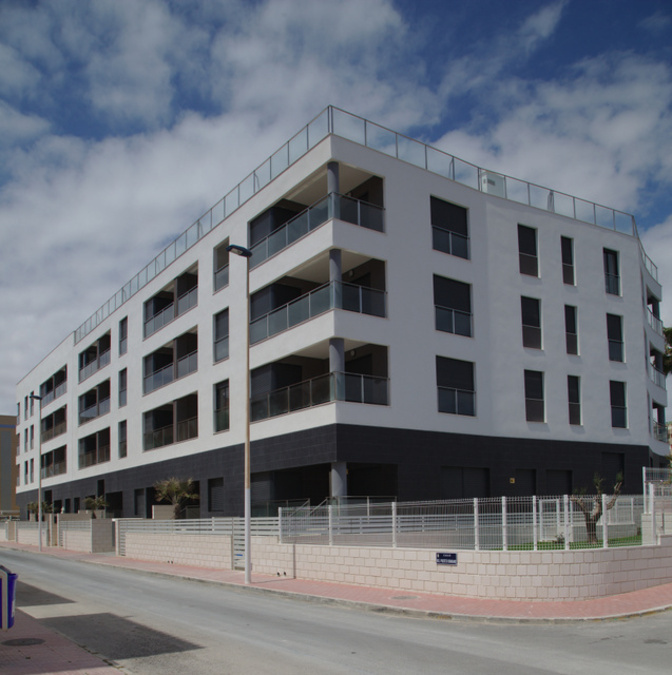 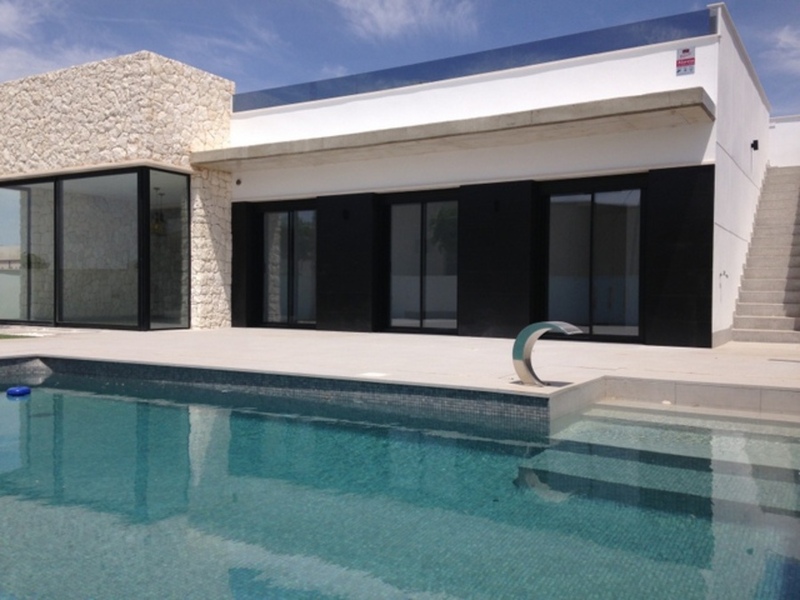 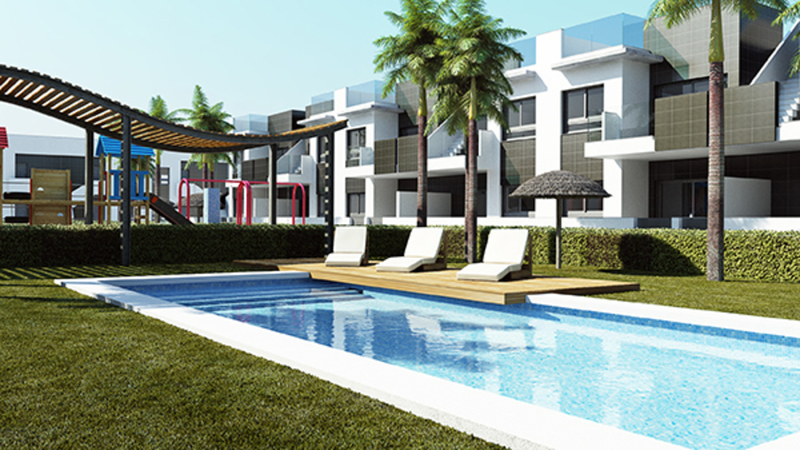 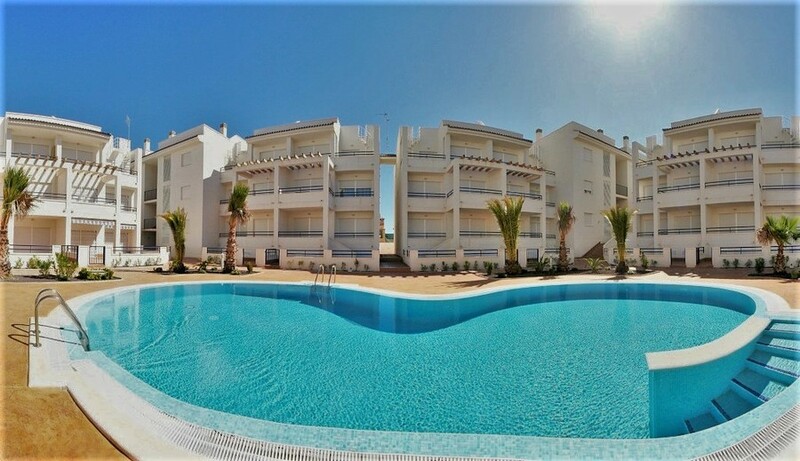 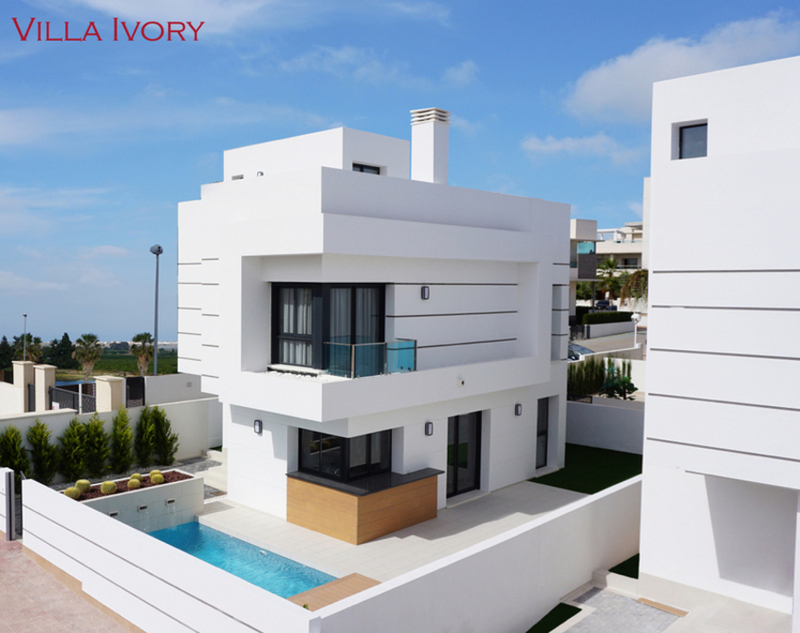 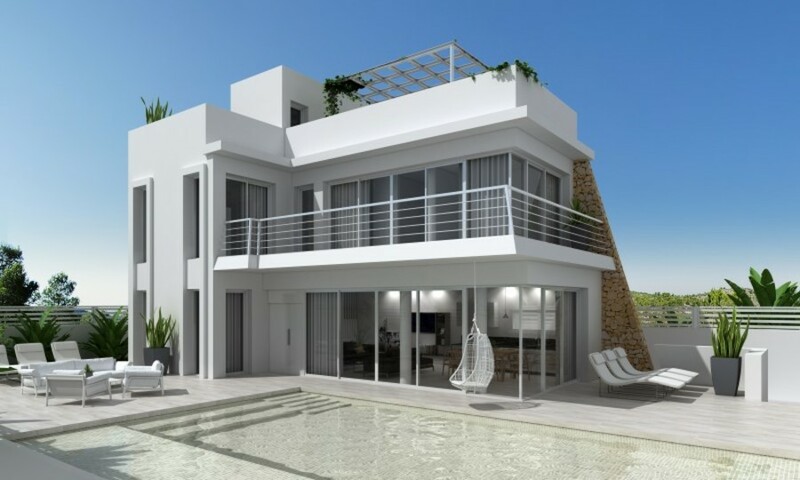 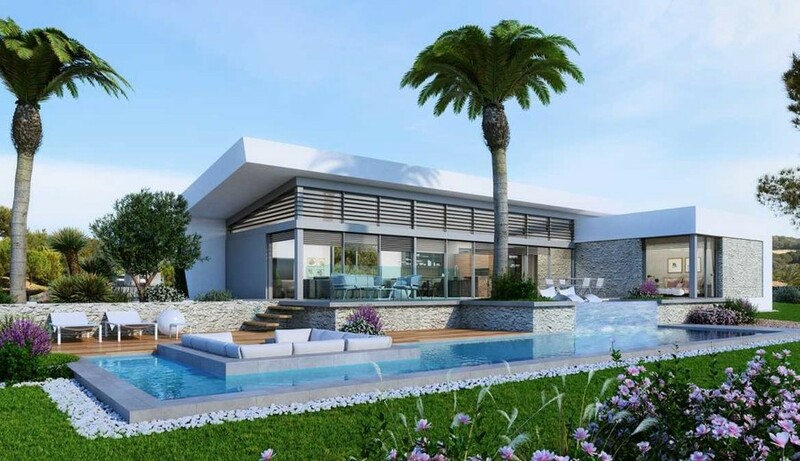 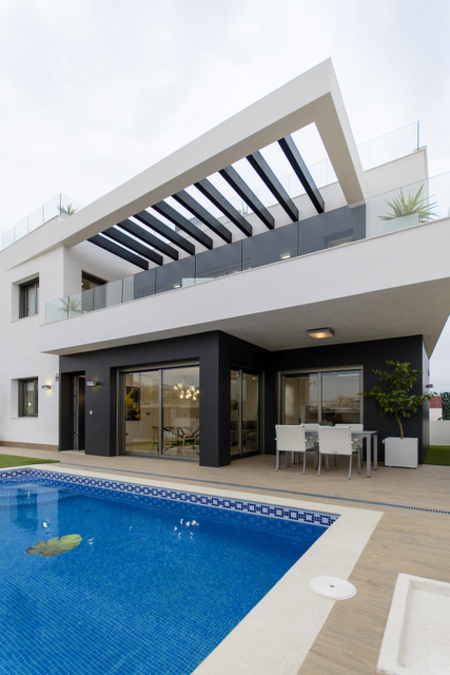 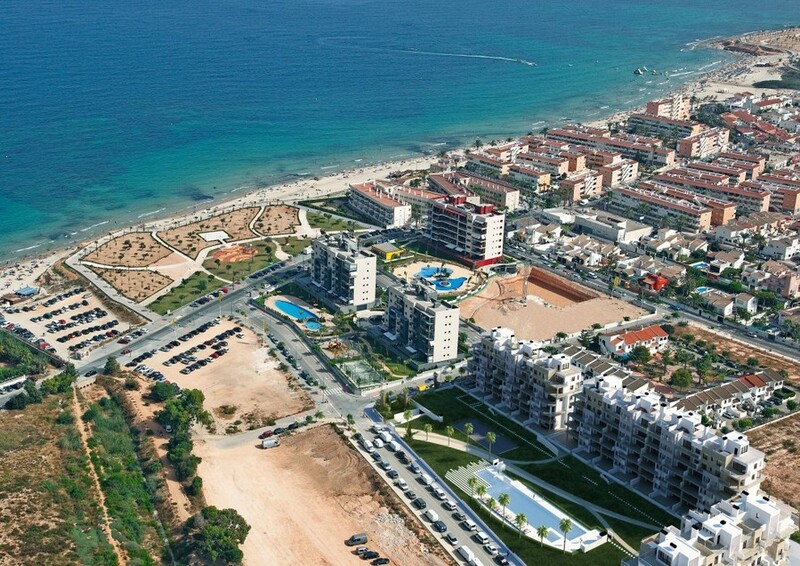 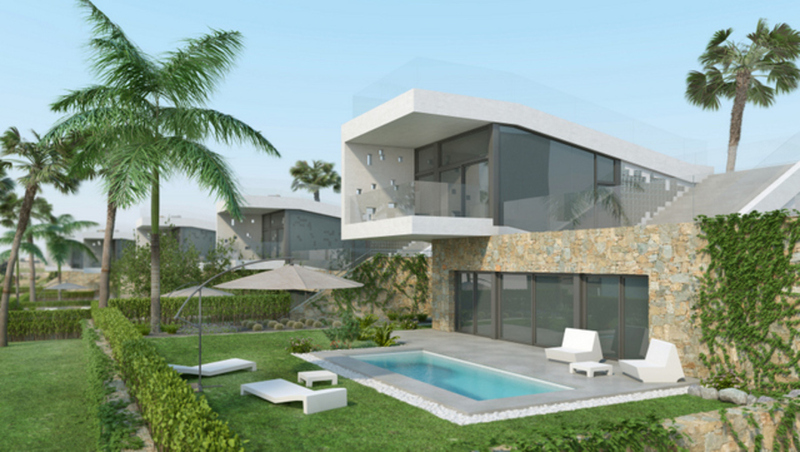 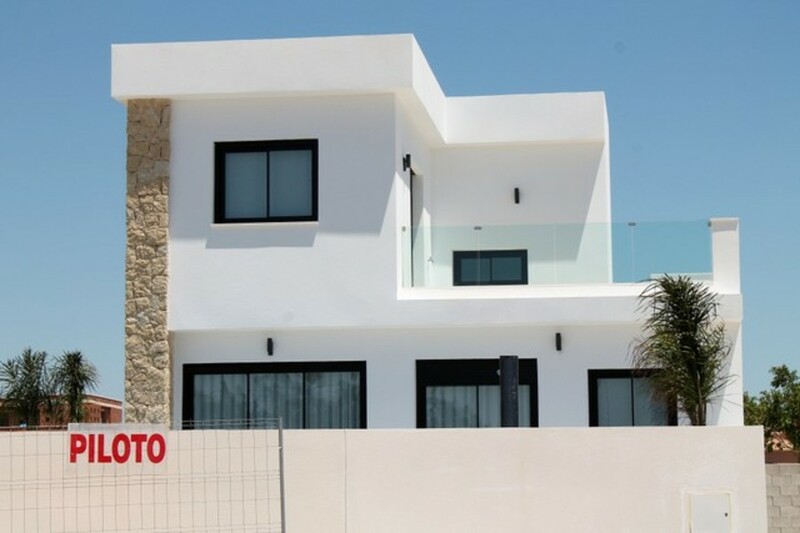 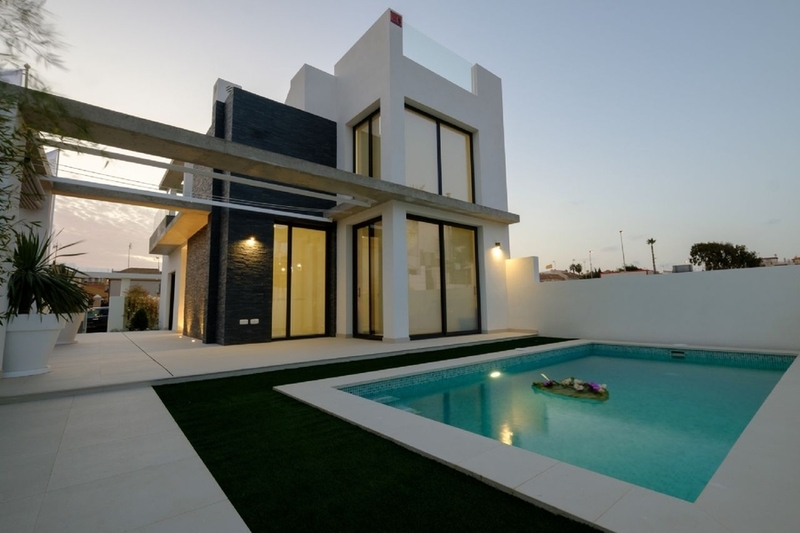 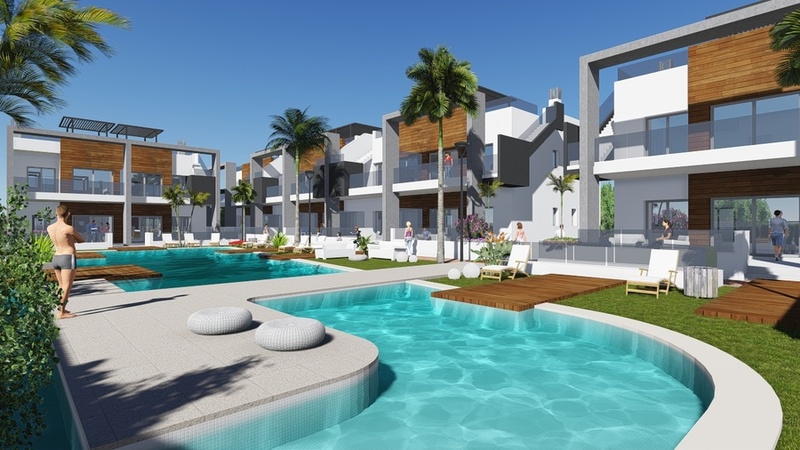 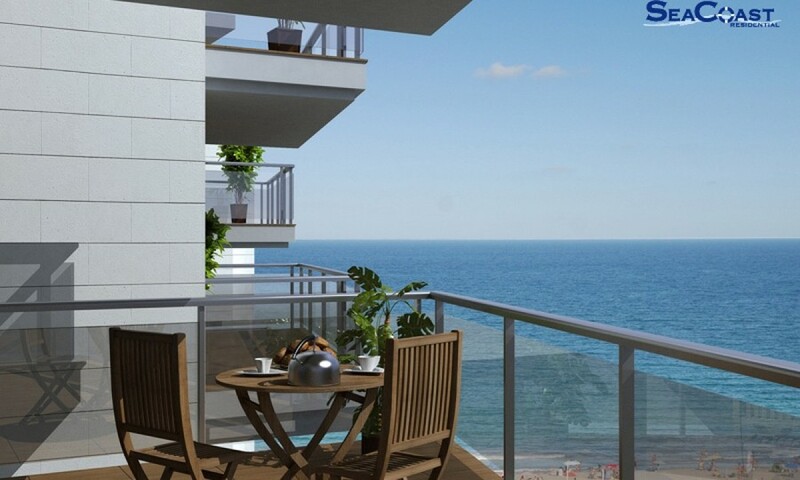 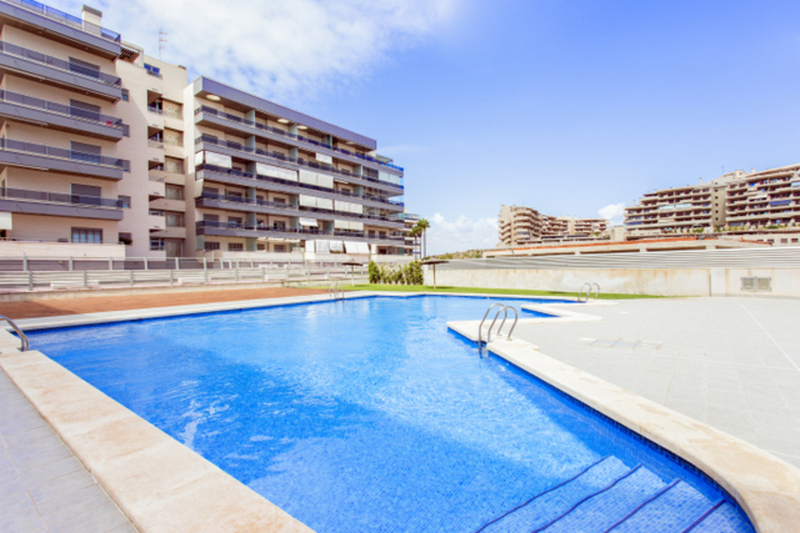 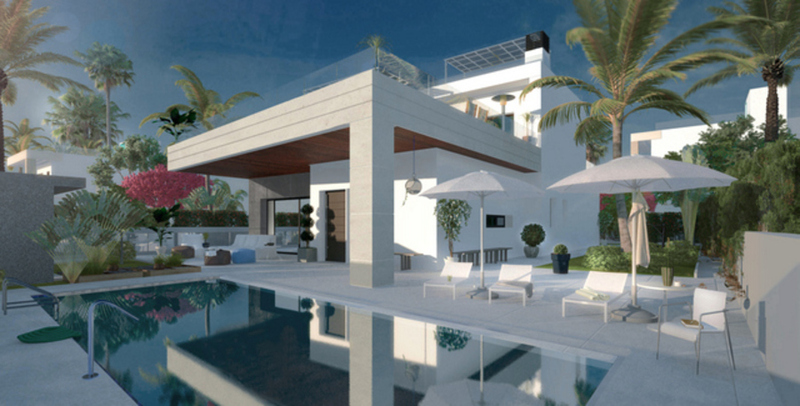 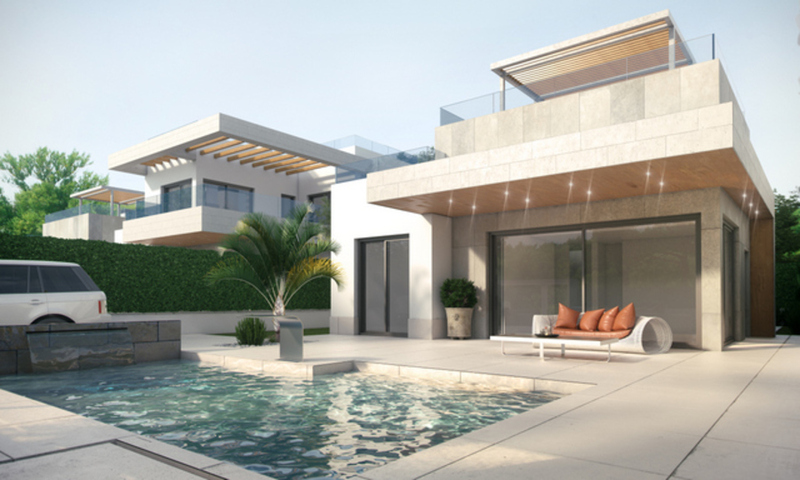 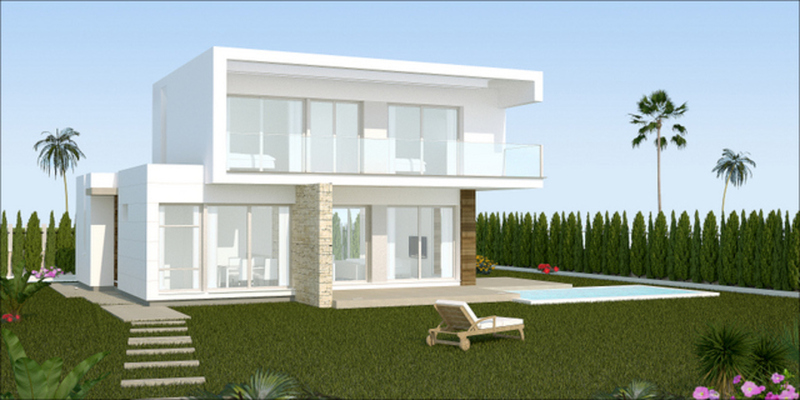 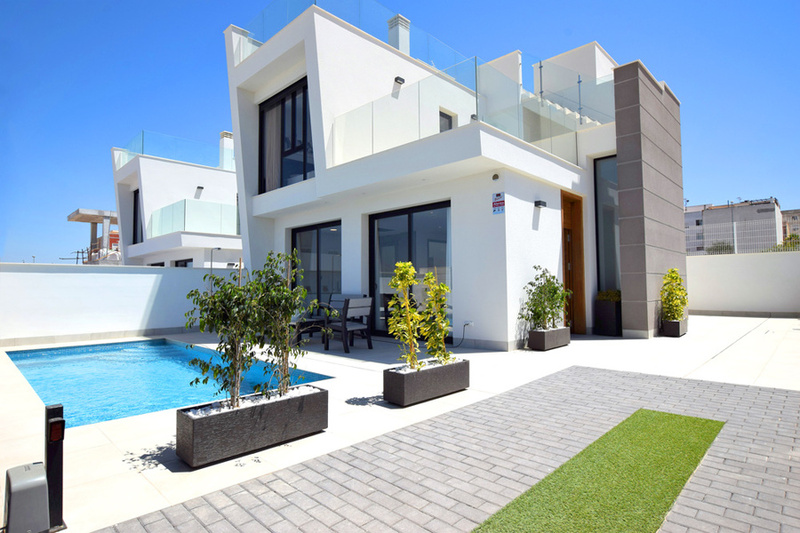 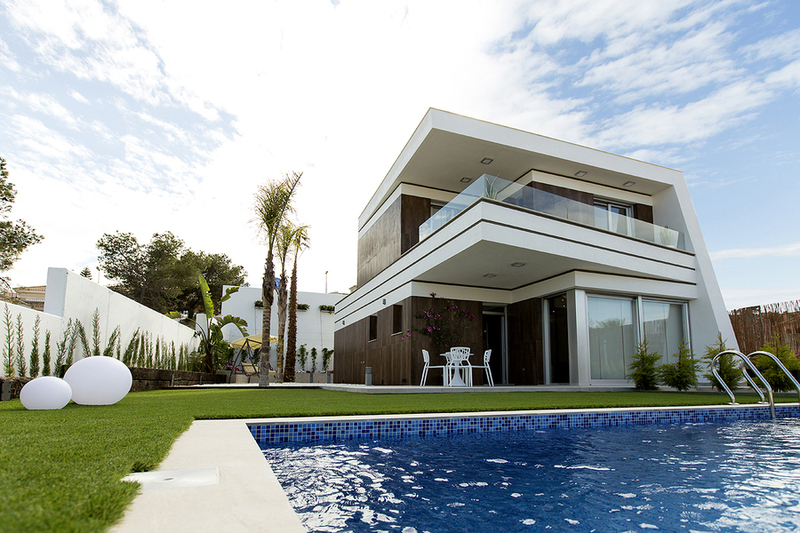 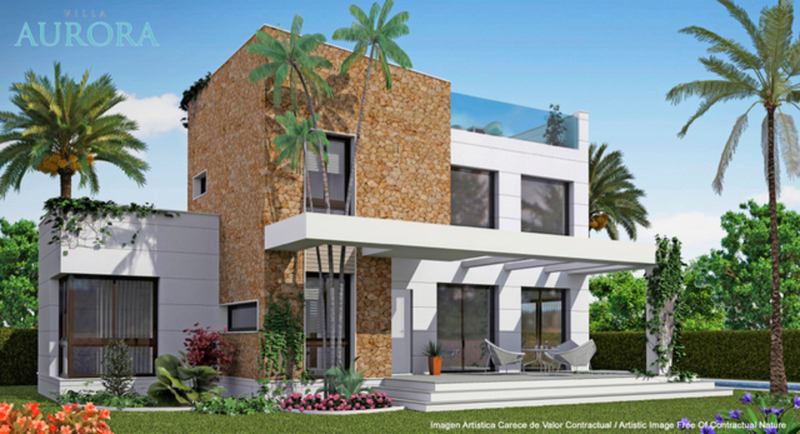 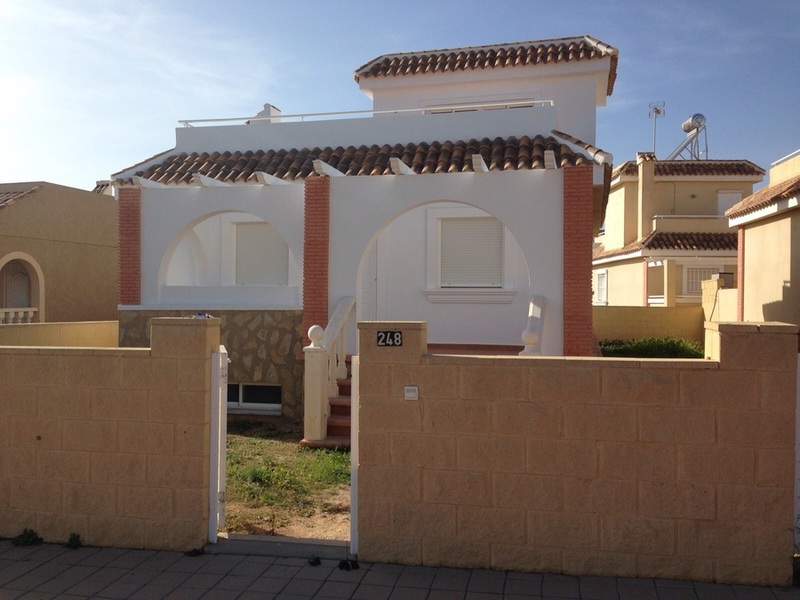 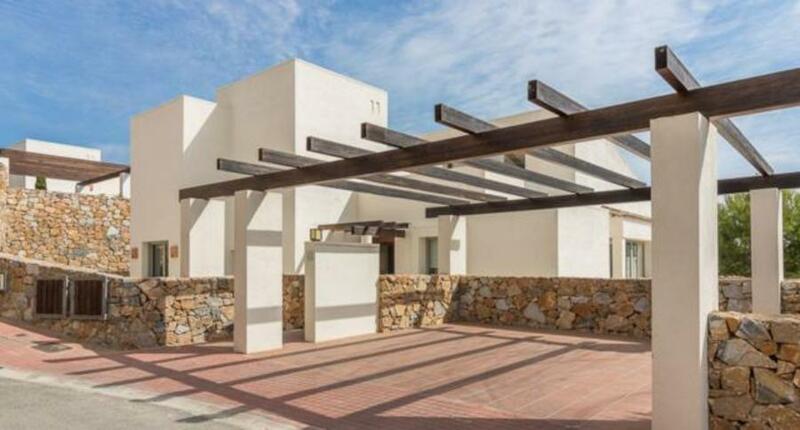 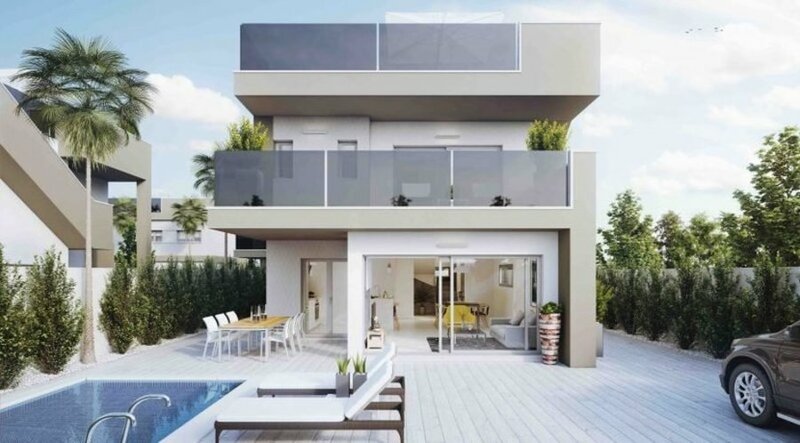 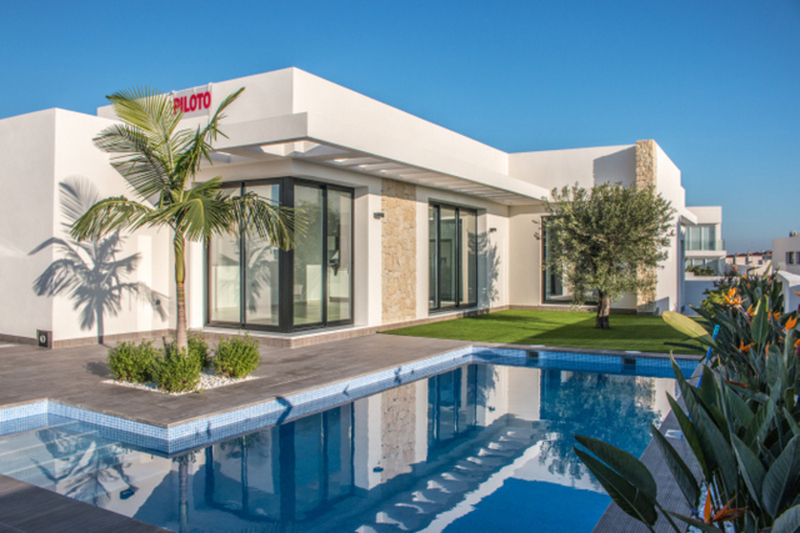 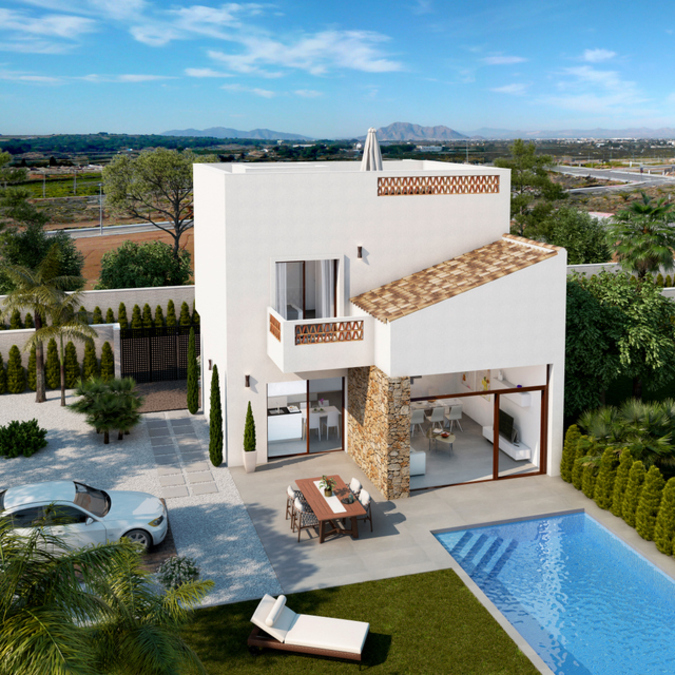 Dedicated to offering simply, new properties and resale properties for sale on the Costa Blanca, Spain. 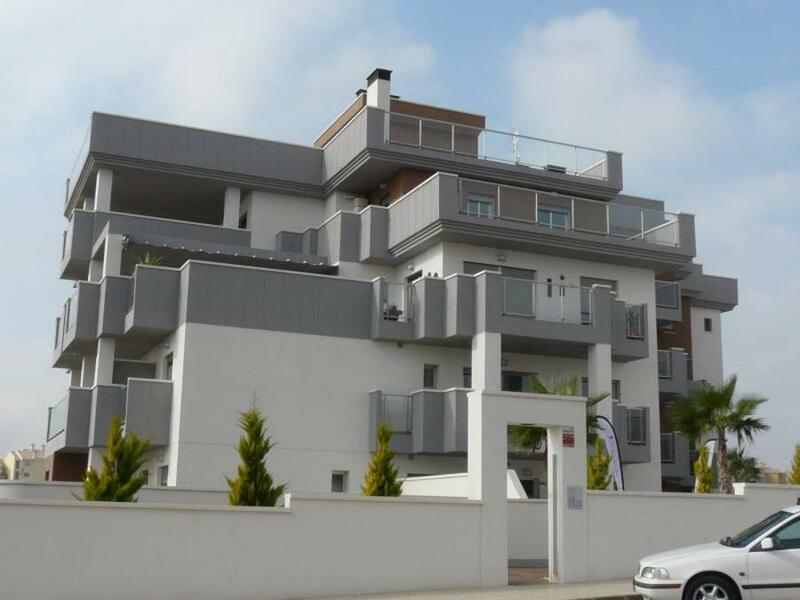 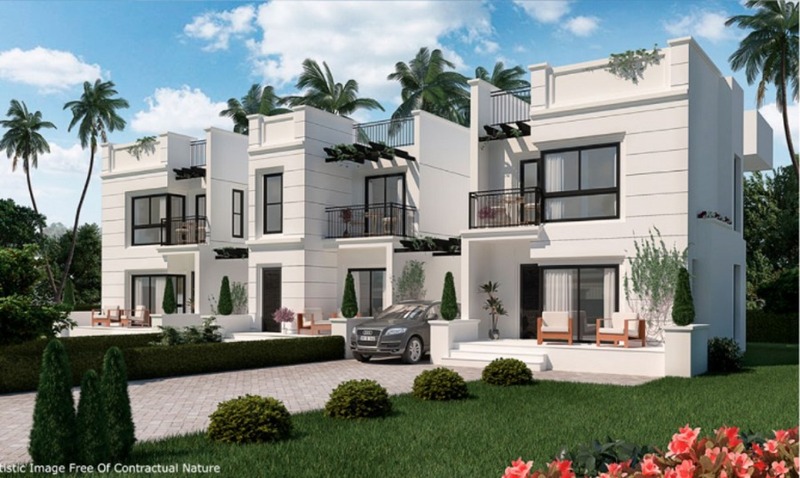 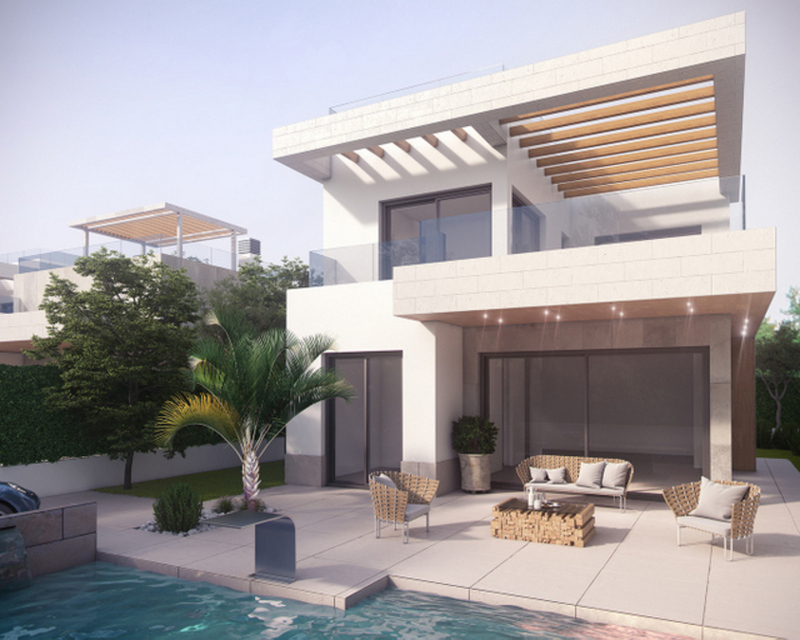 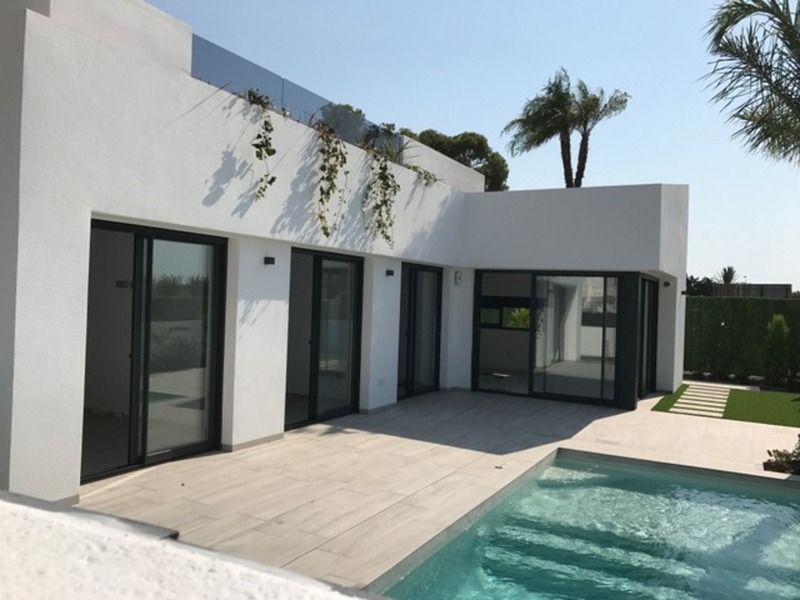 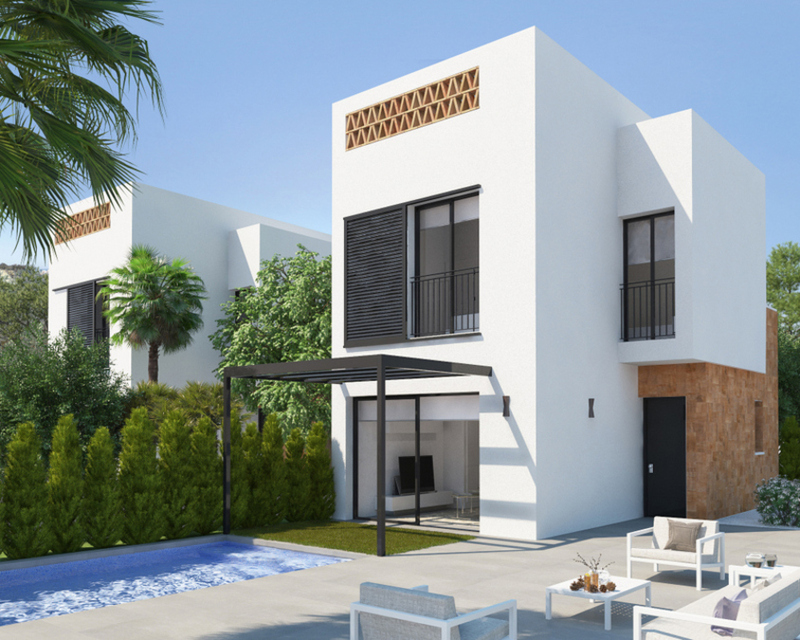 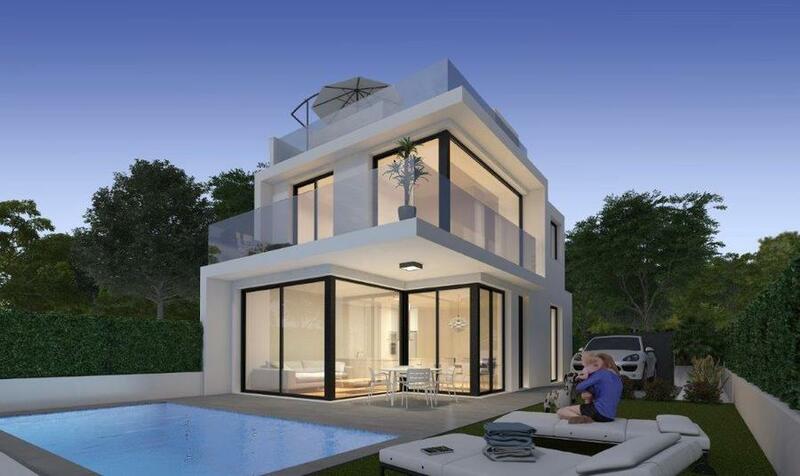 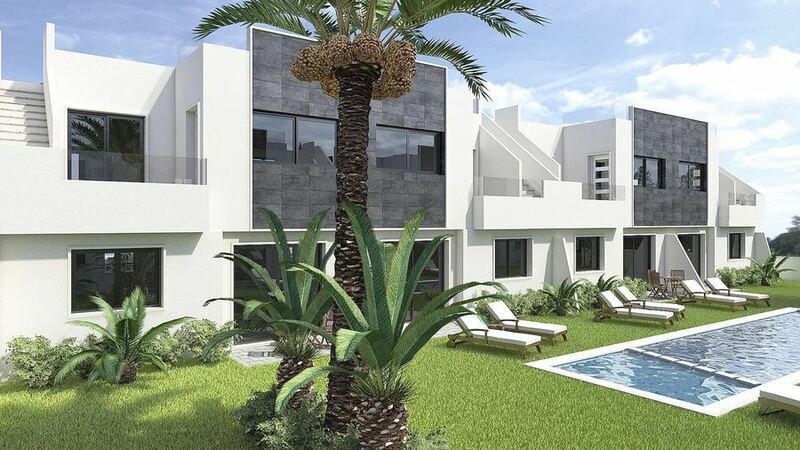 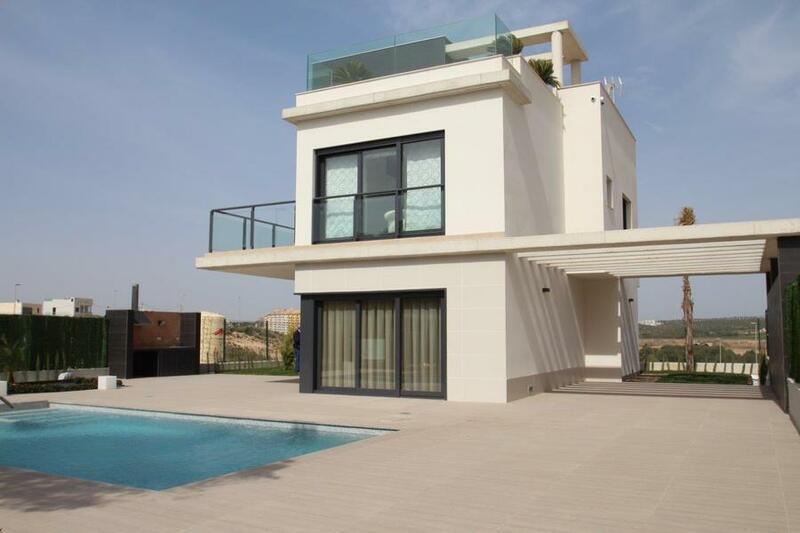 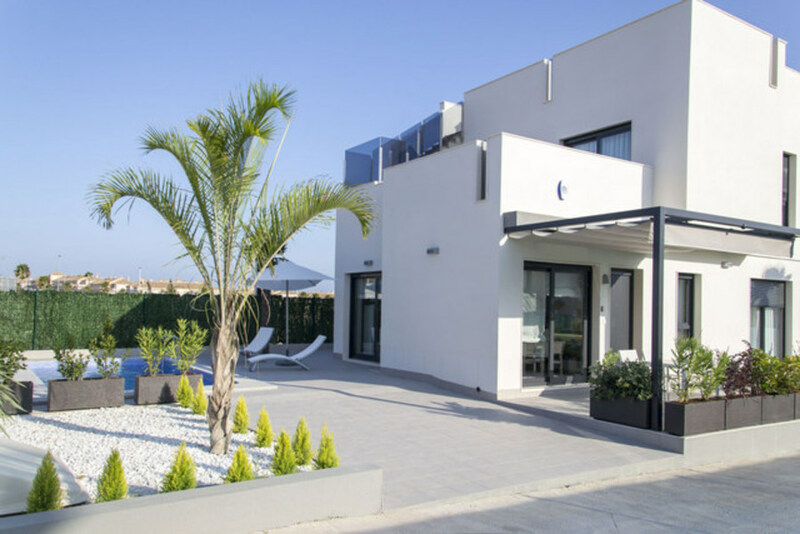 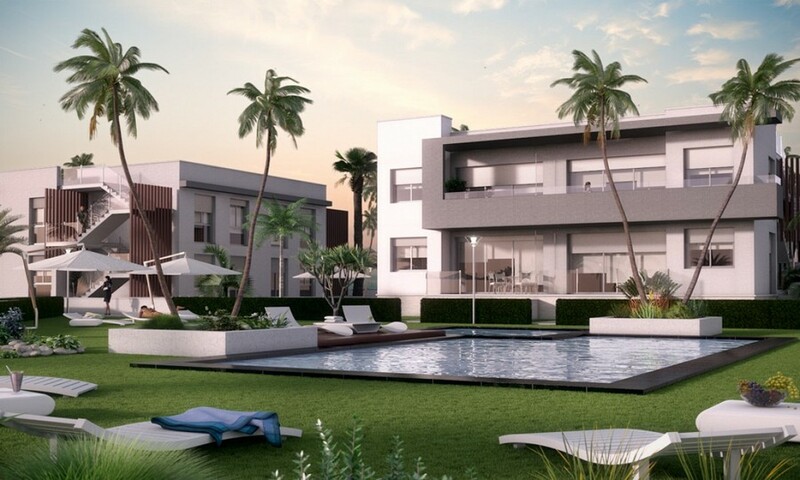 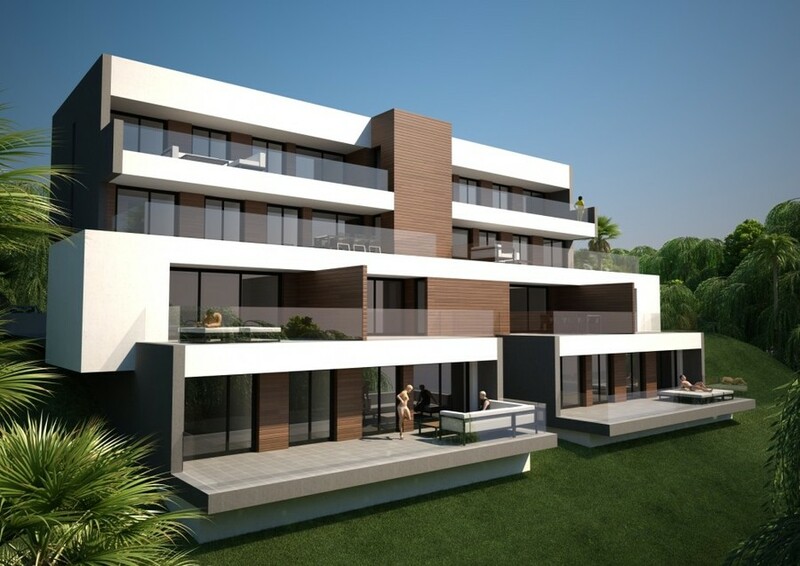 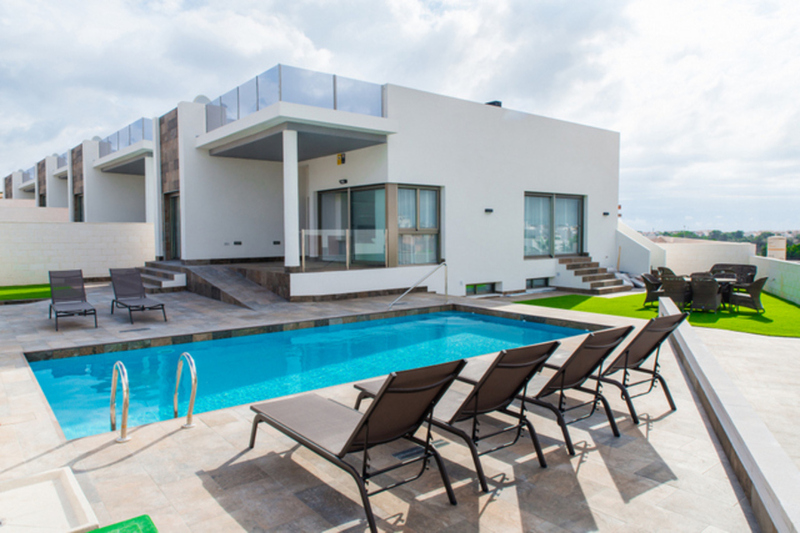 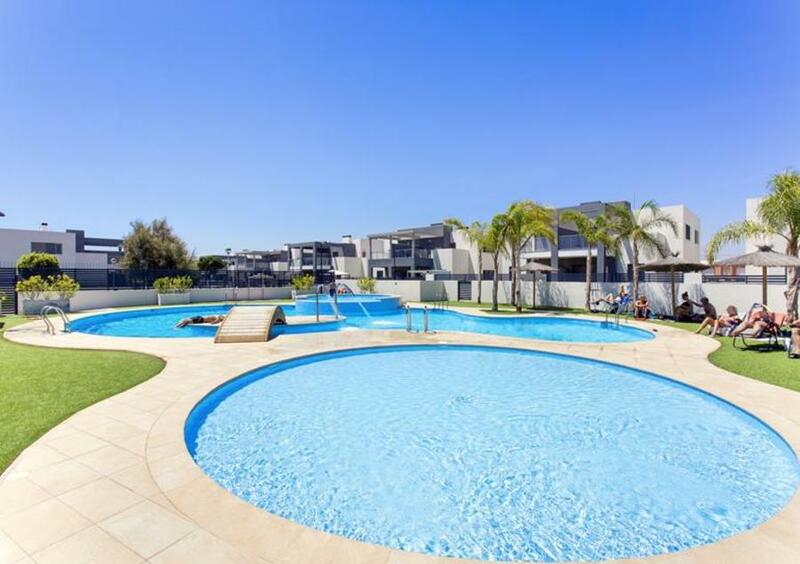 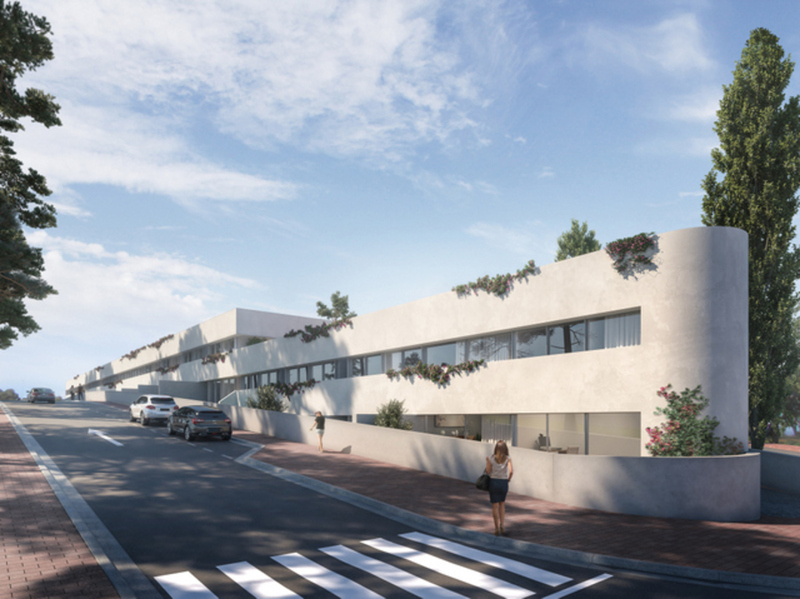 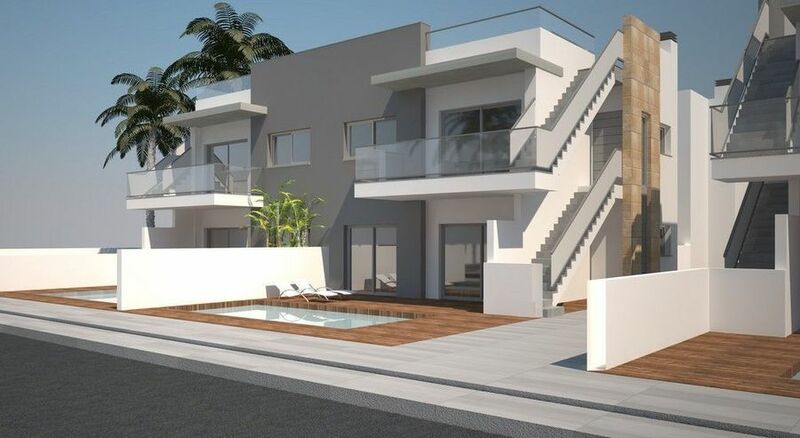 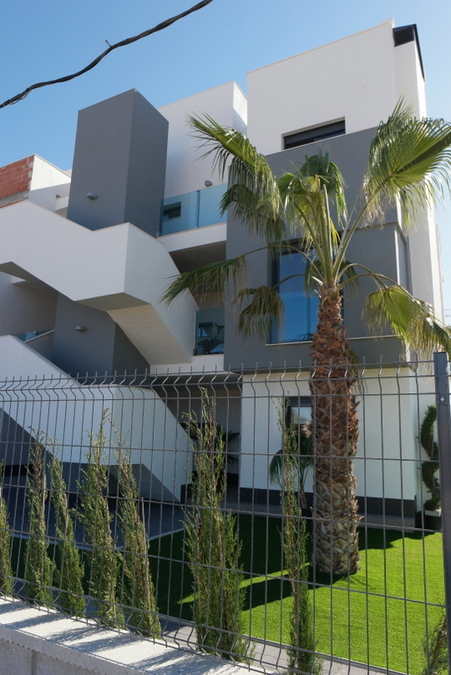 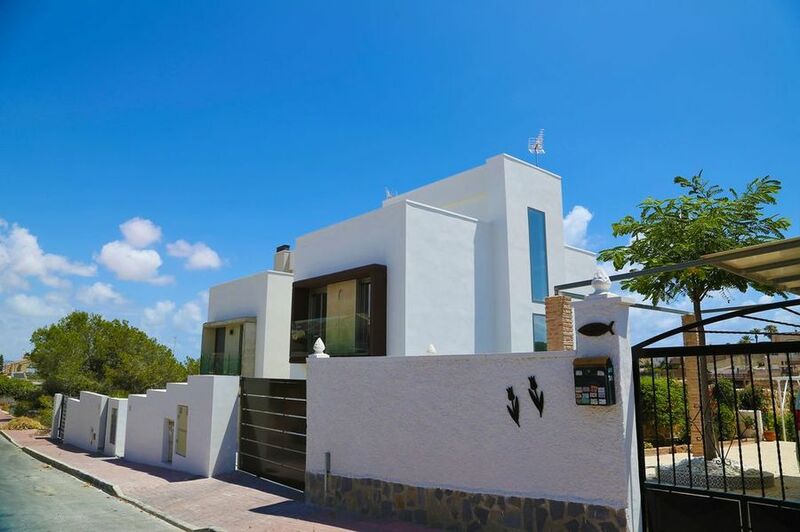 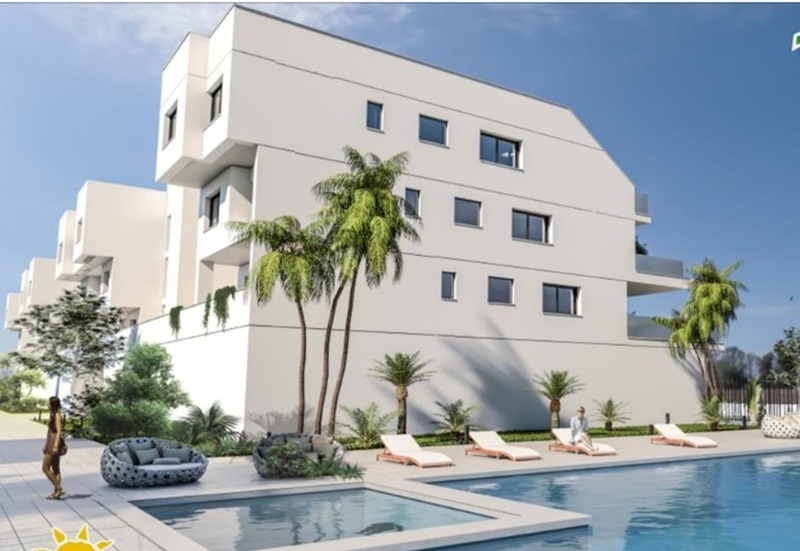 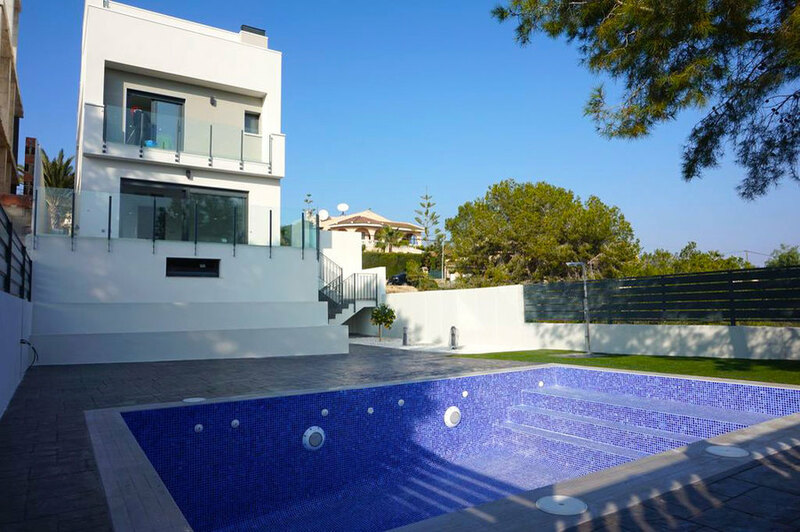 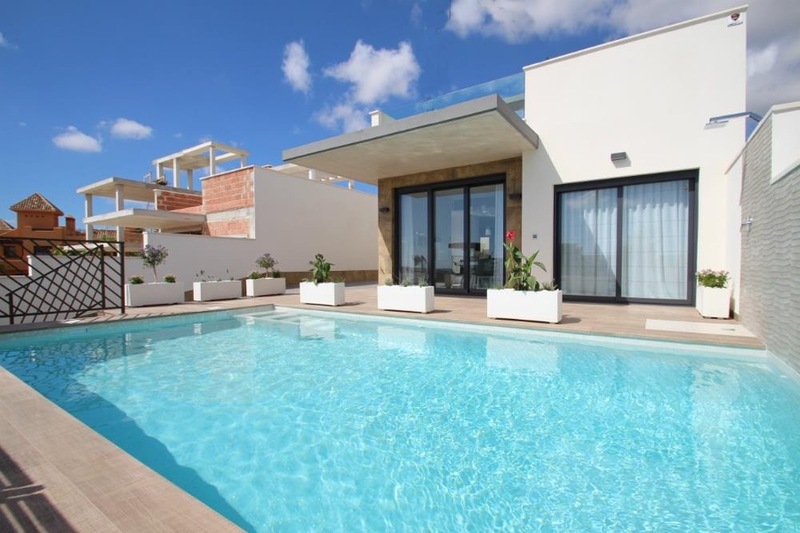 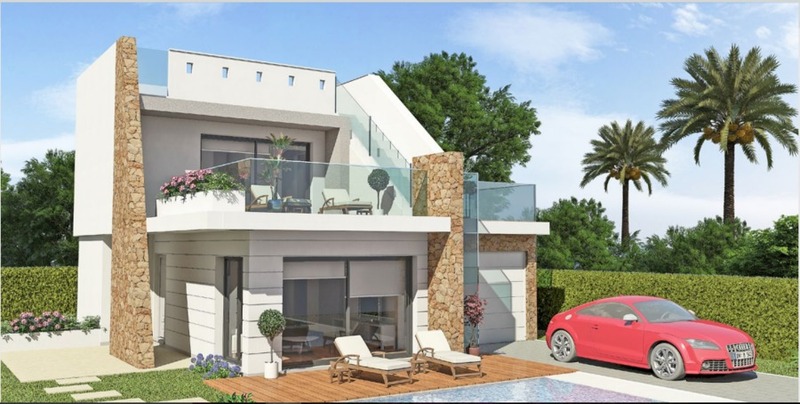 It is an extraordinary corner house in a quality urbanization with large green areas & 2 community pools, just 50 meters from the prestigious golf course. 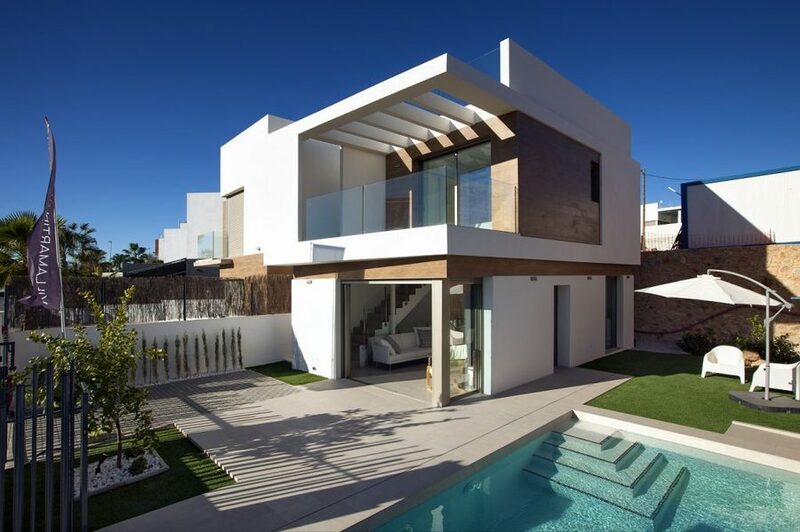 The house is distributed over 3 floors. 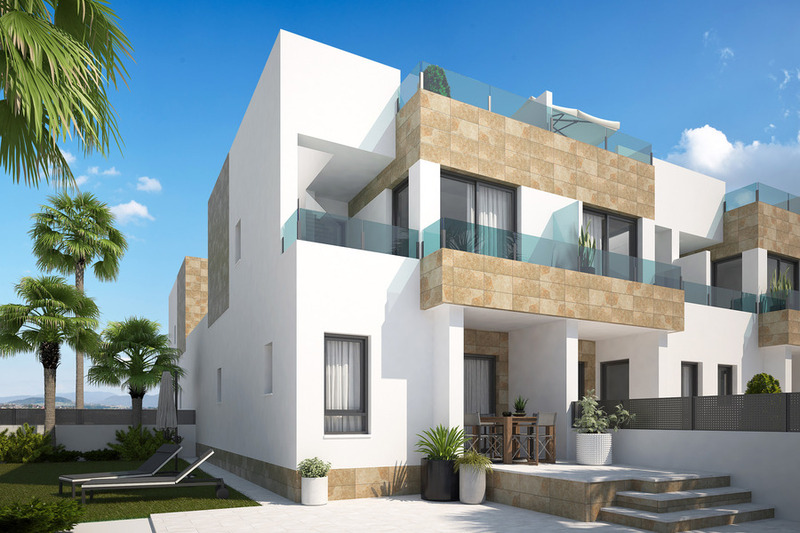 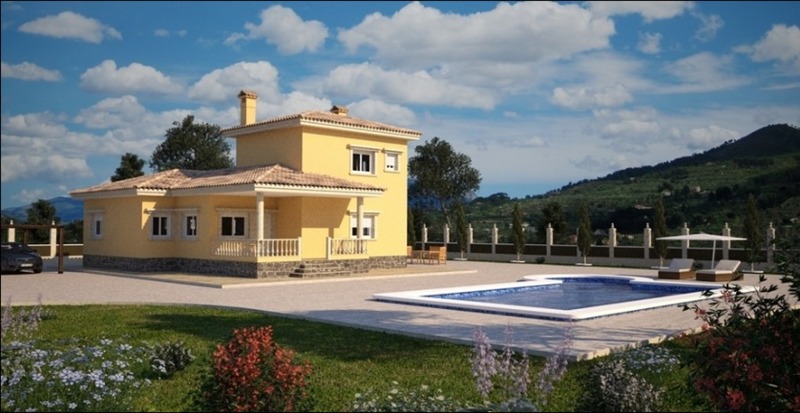 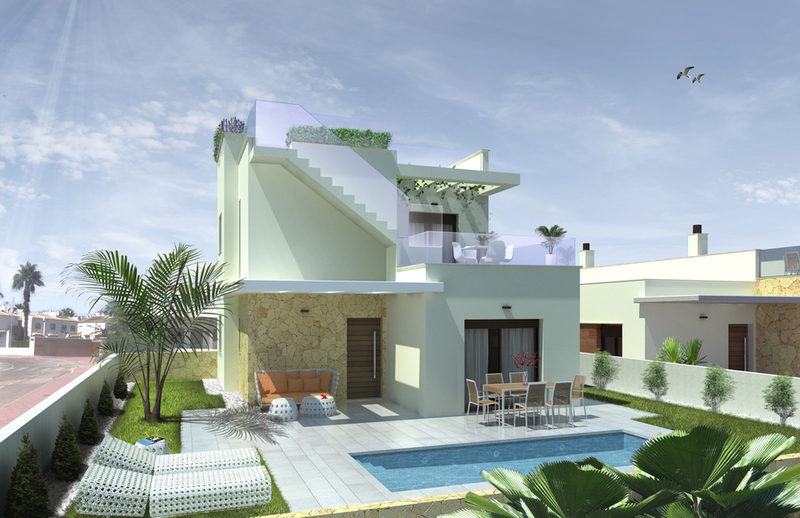 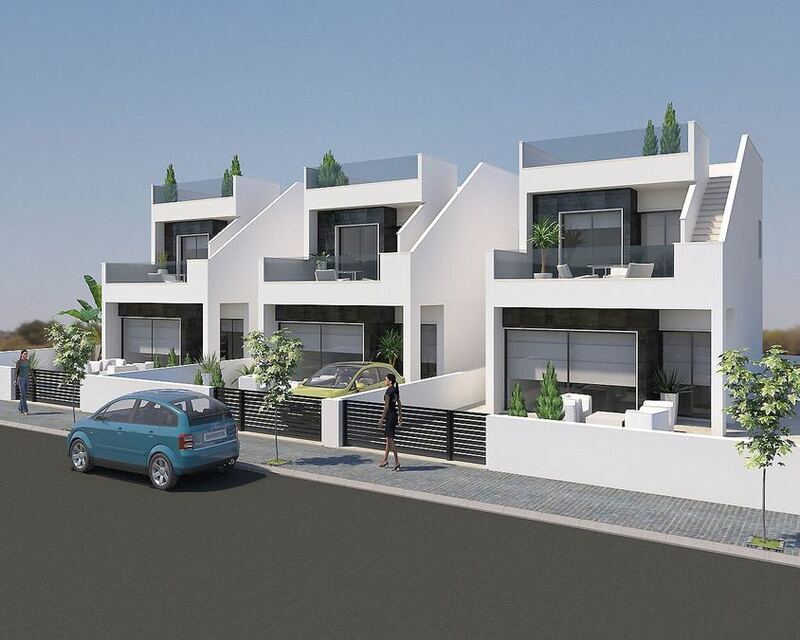 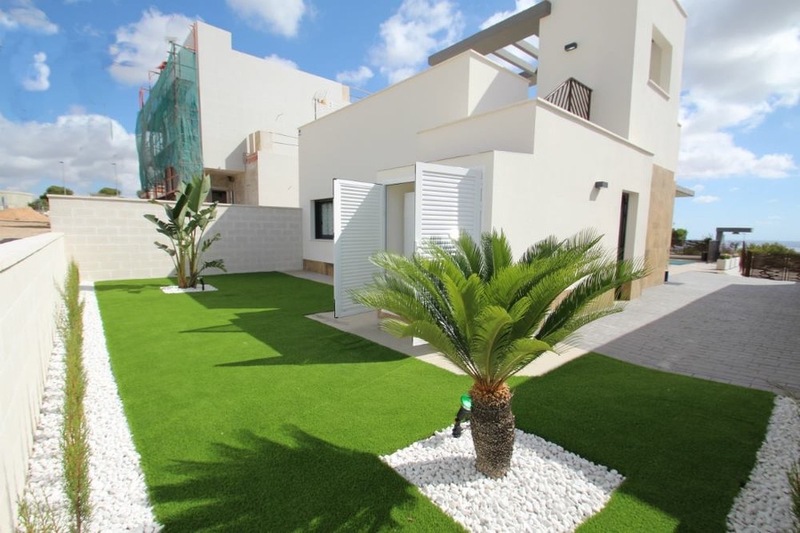 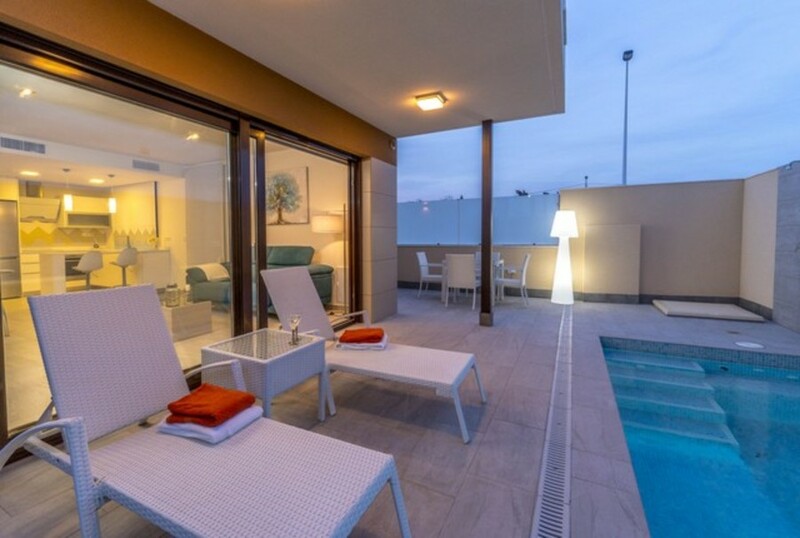 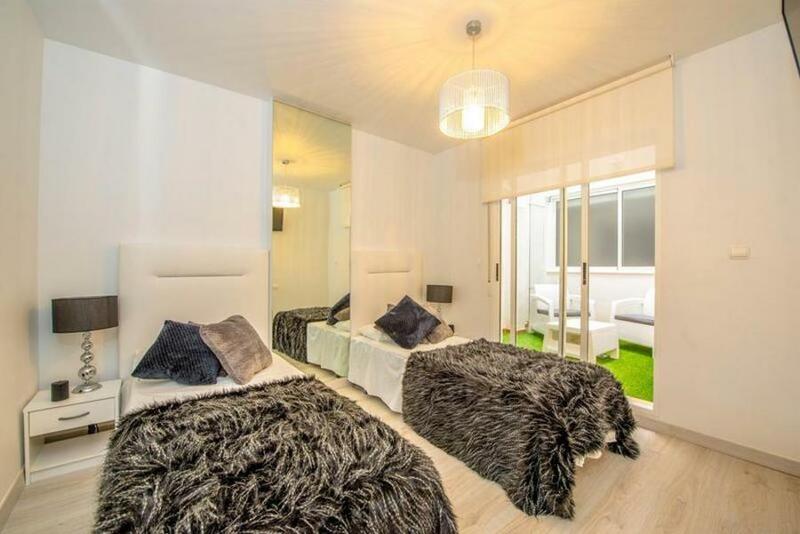 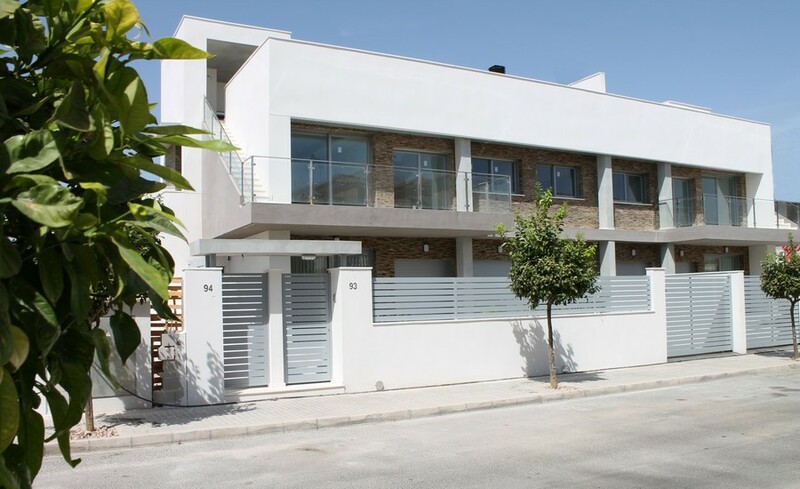 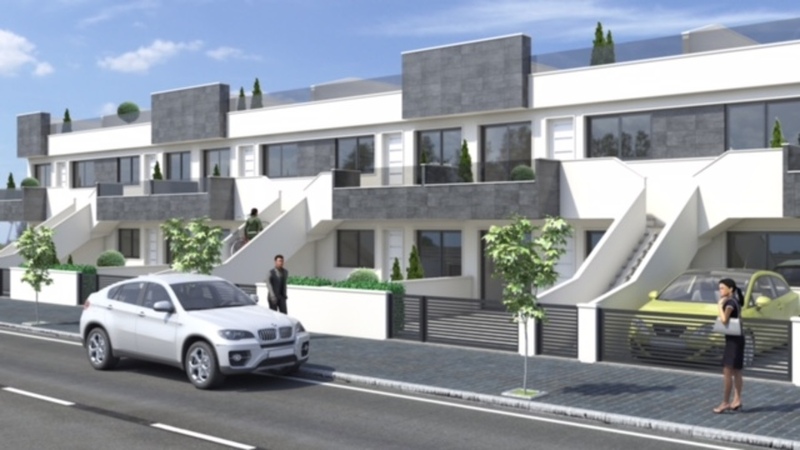 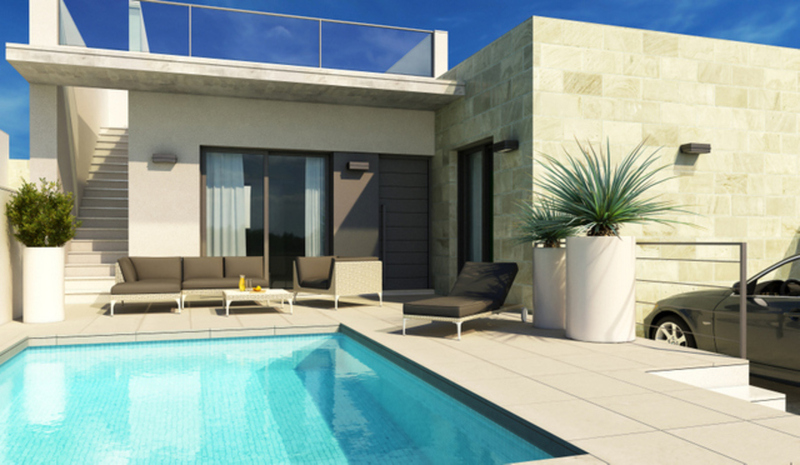 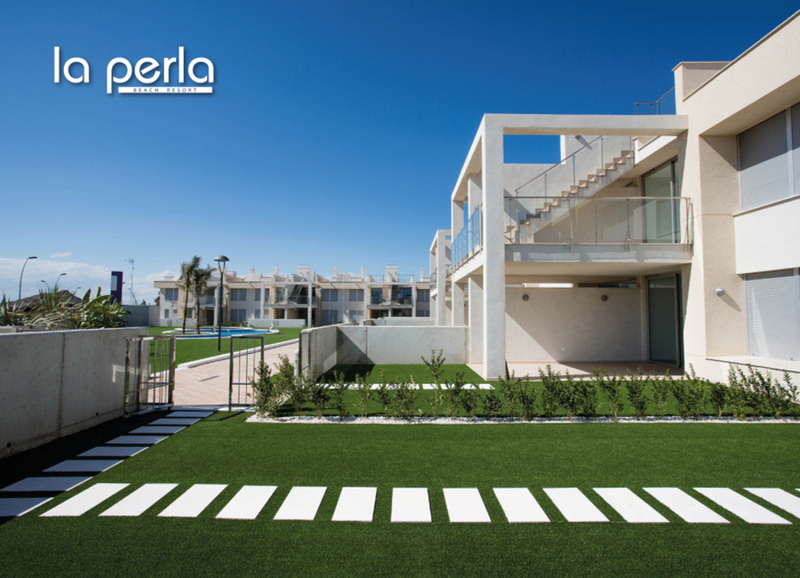 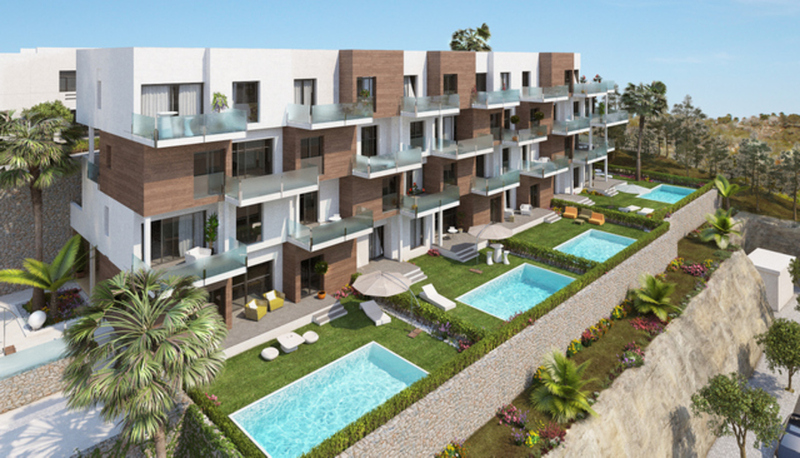 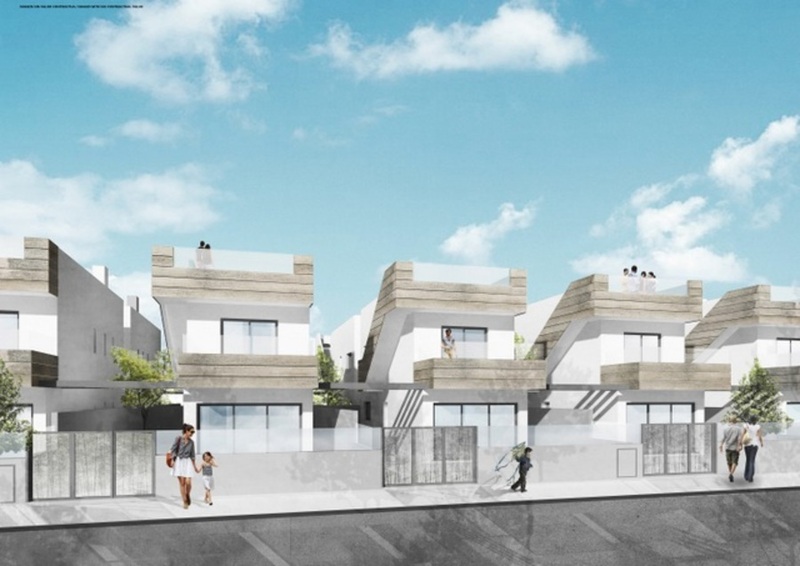 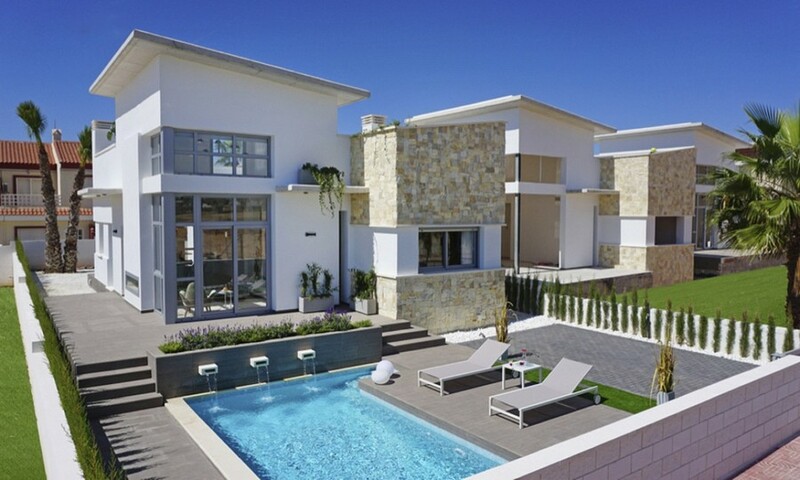 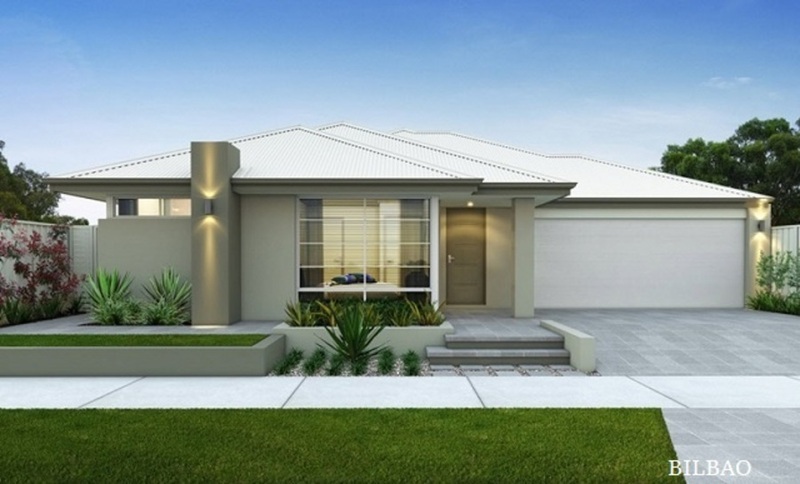 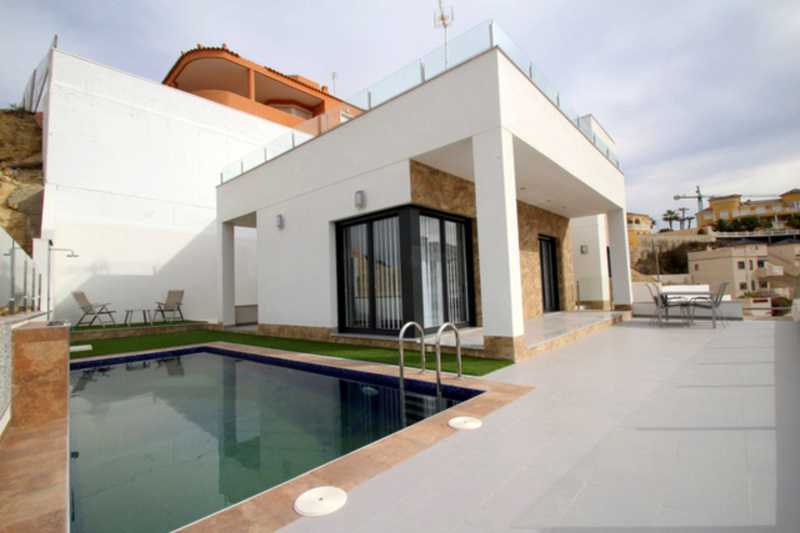 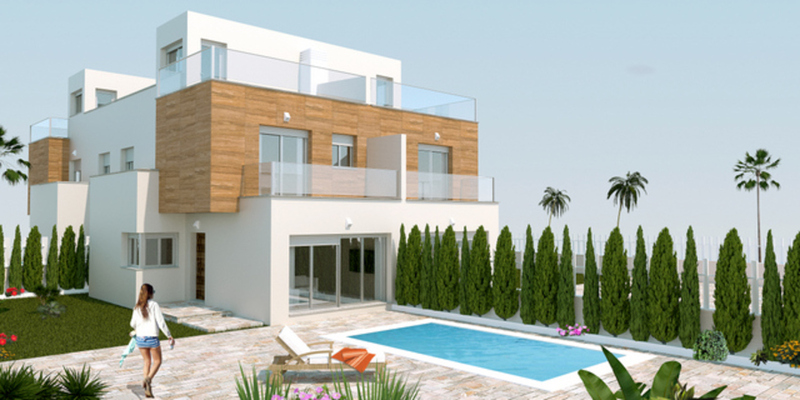 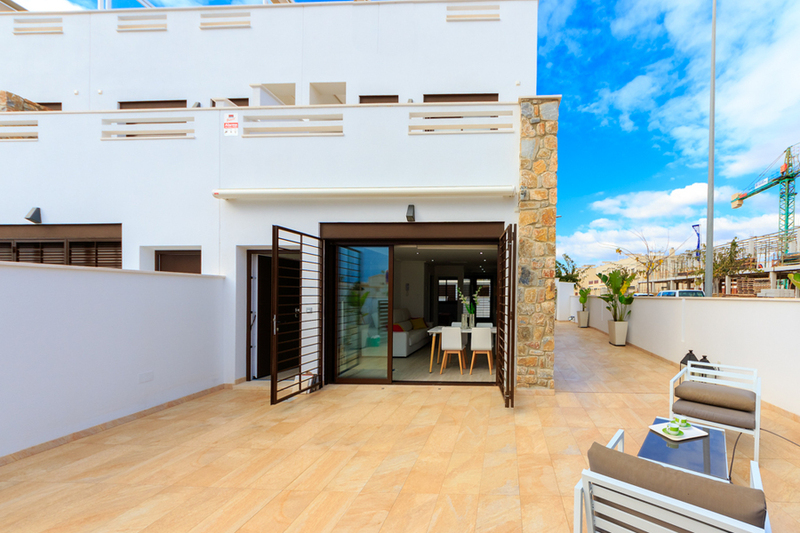 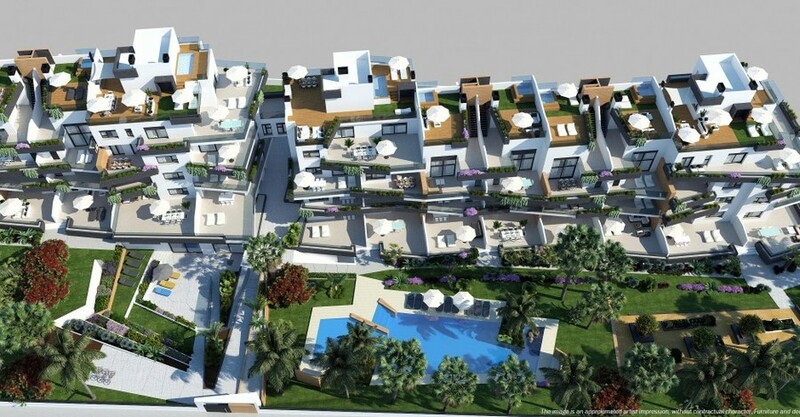 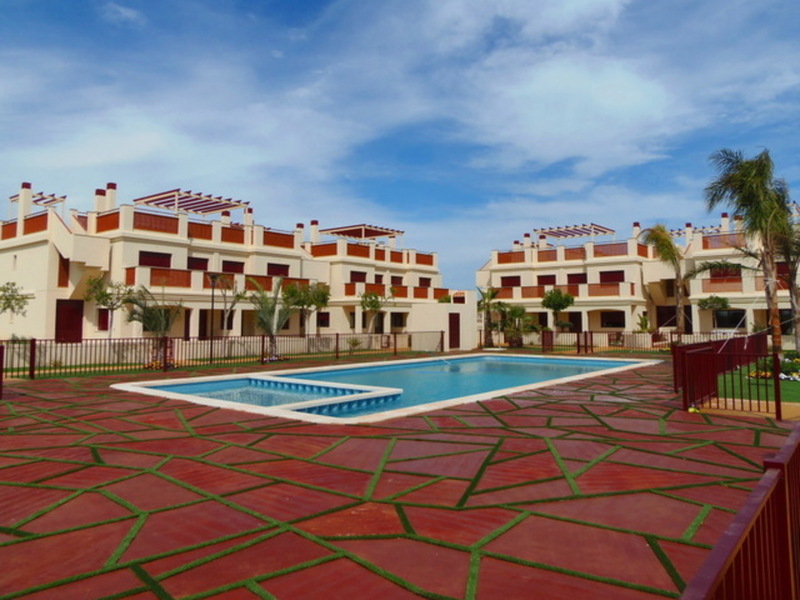 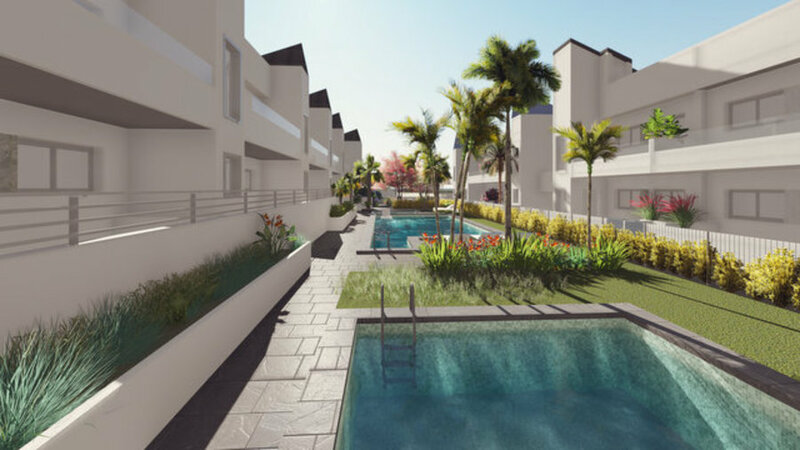 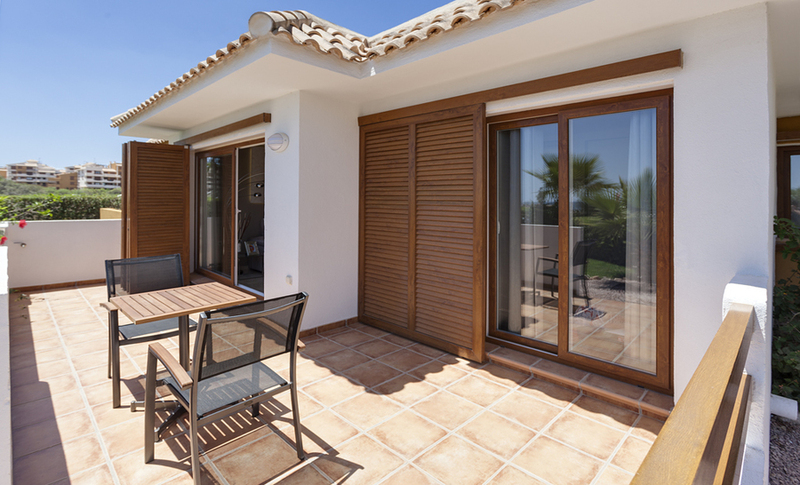 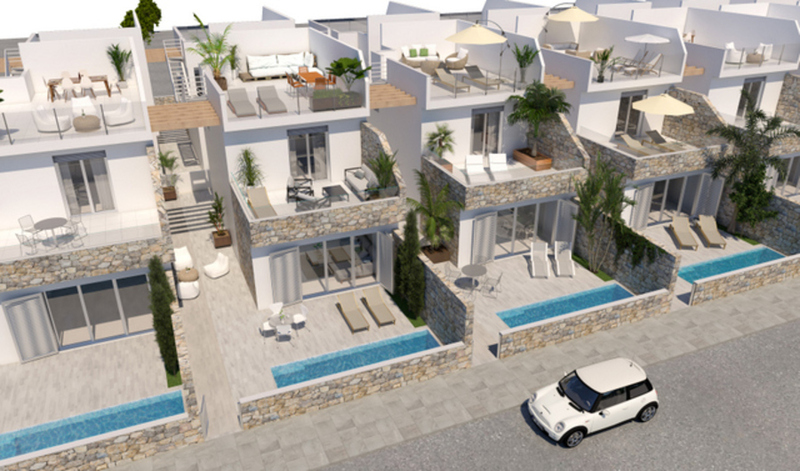 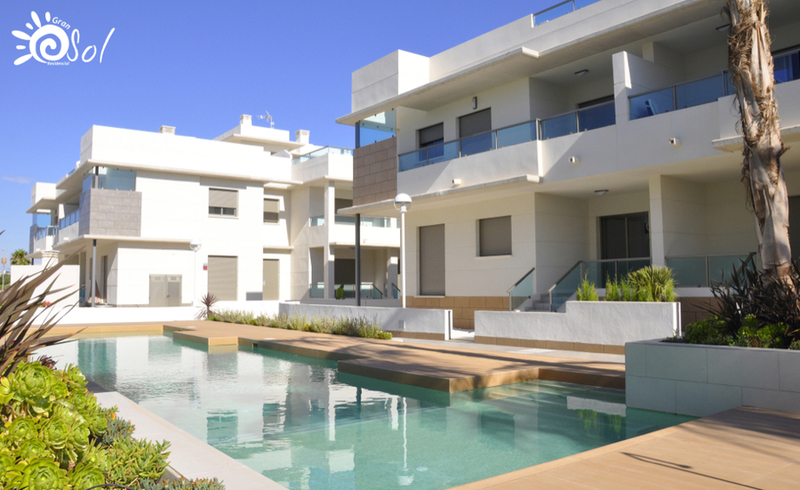 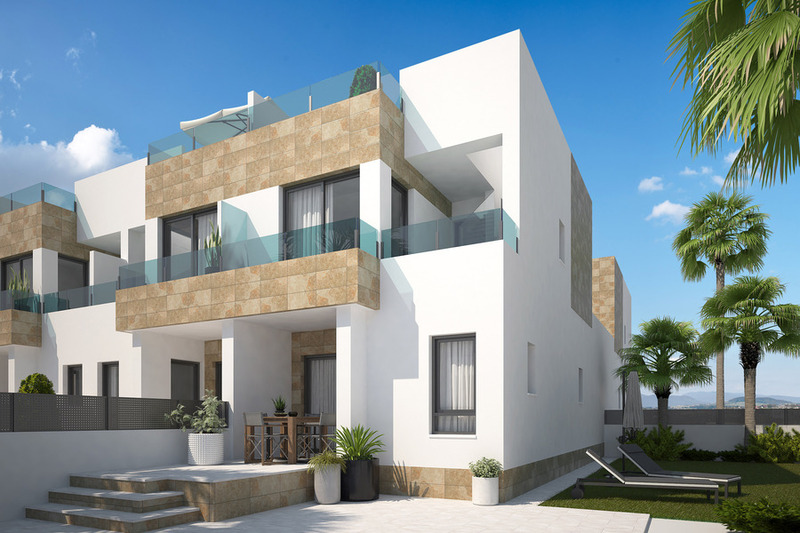 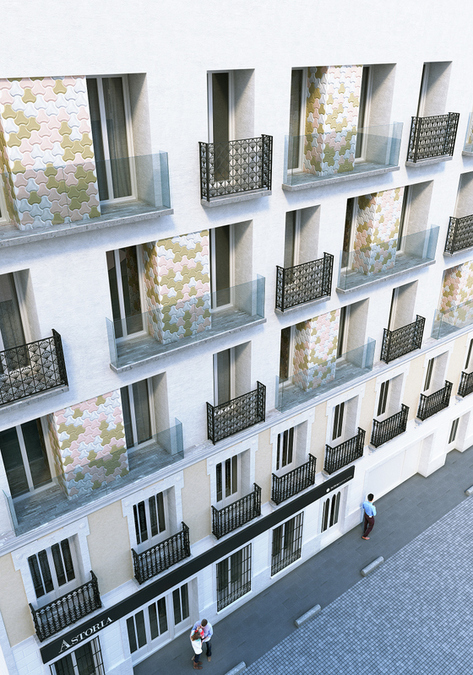 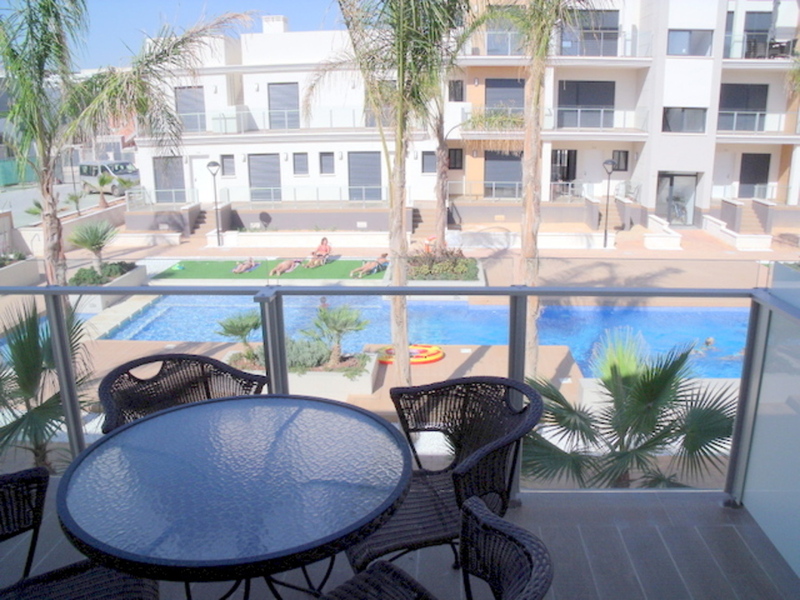 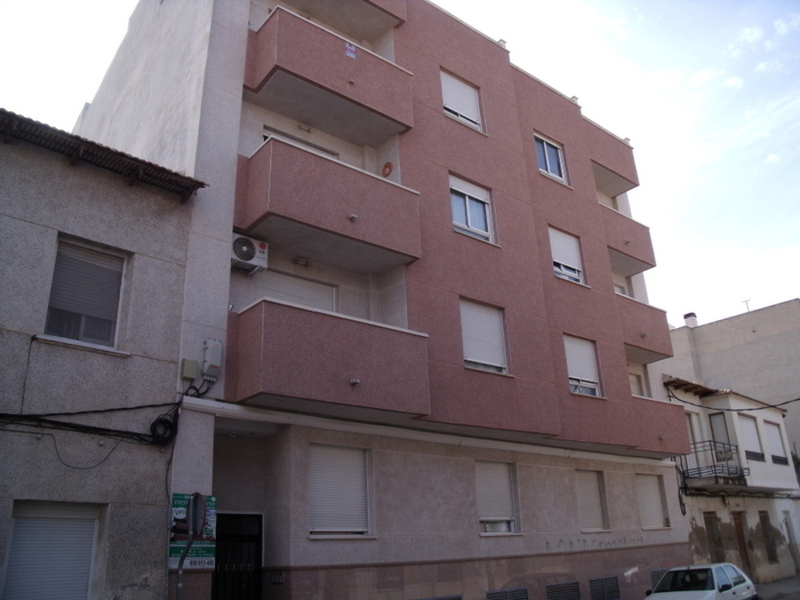 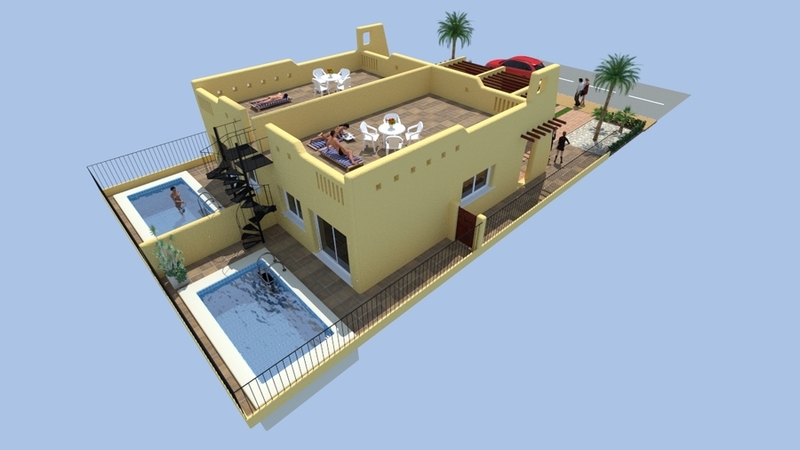 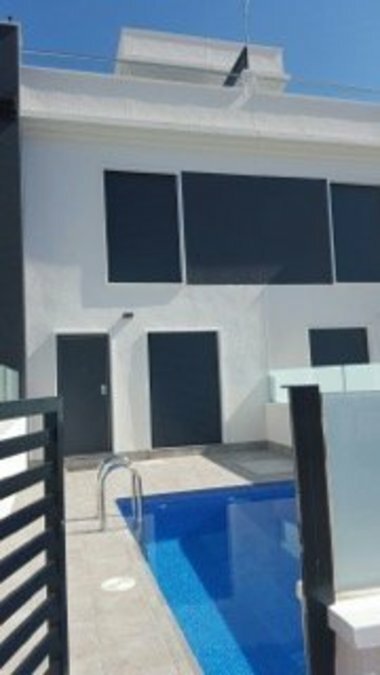 • Ground floor: garden, large terrace, living room, kitchen (semi - equipped), gallery, 1 toilet. 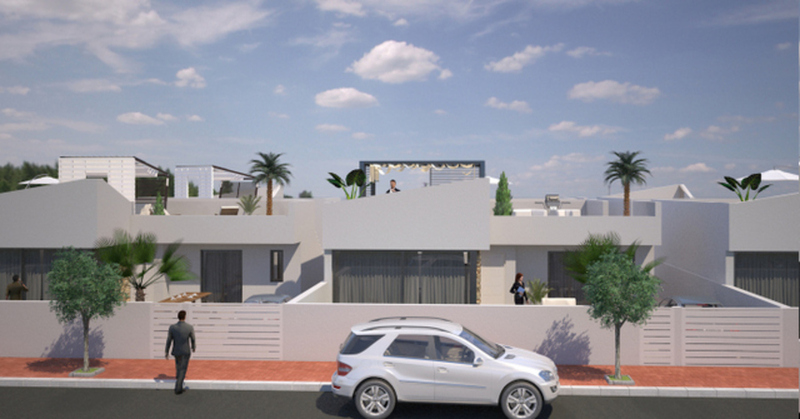 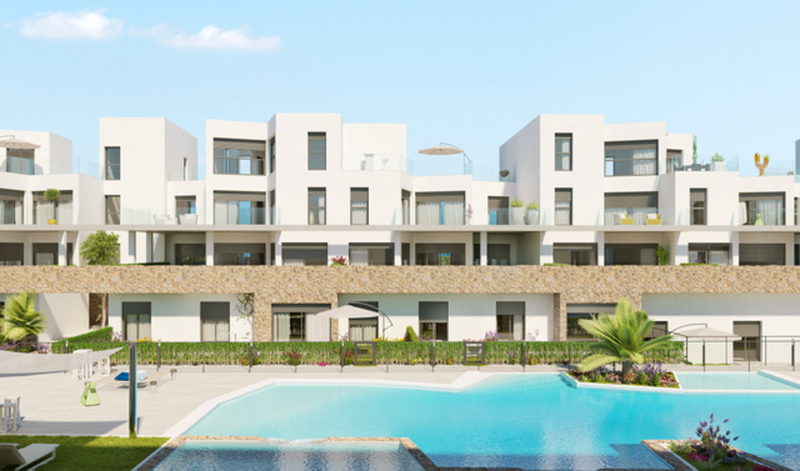 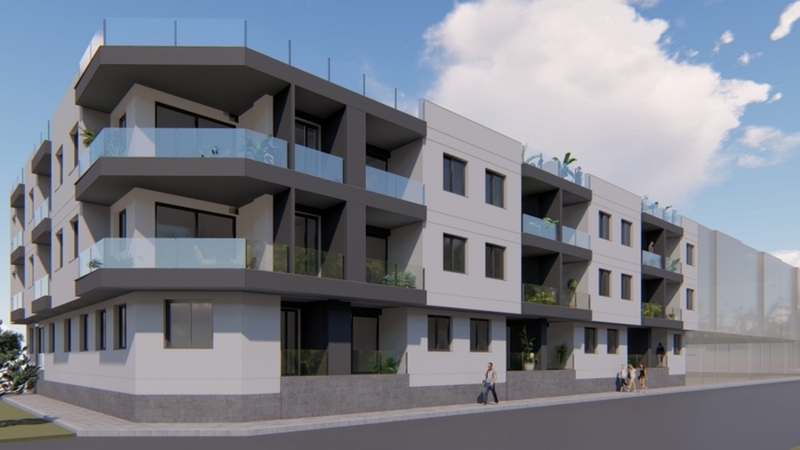 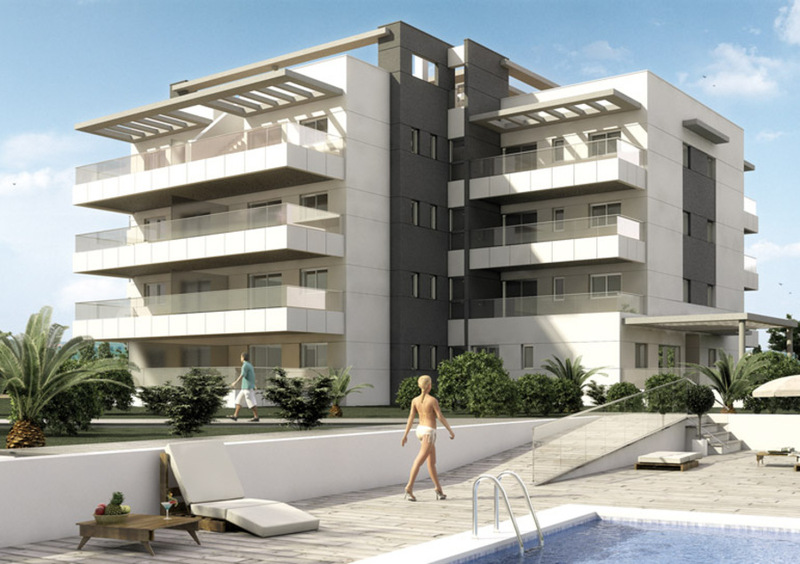 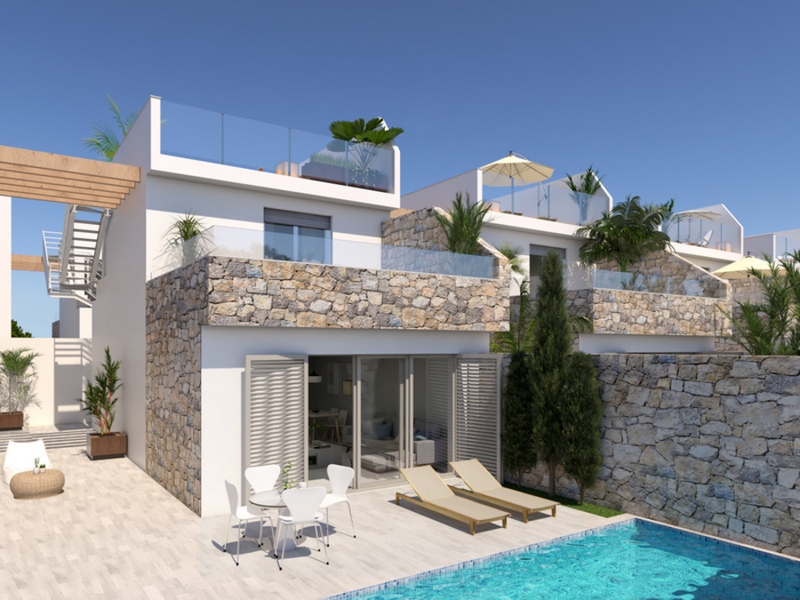 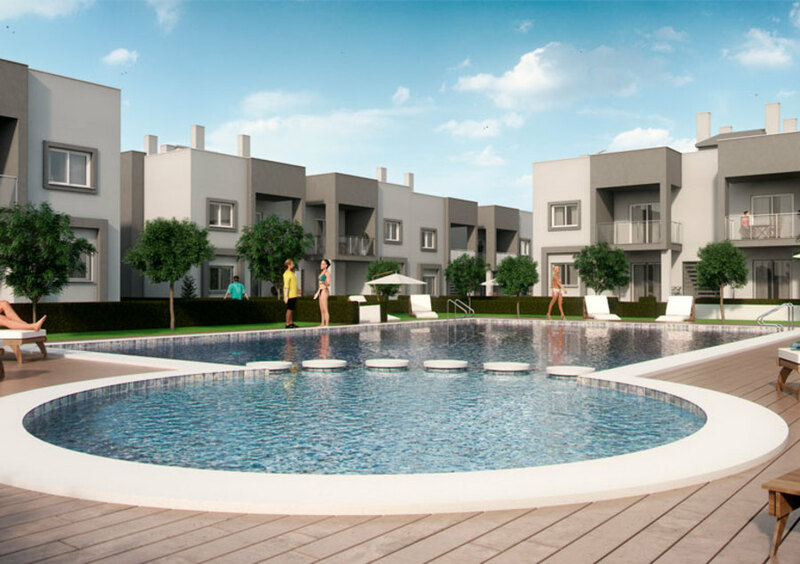 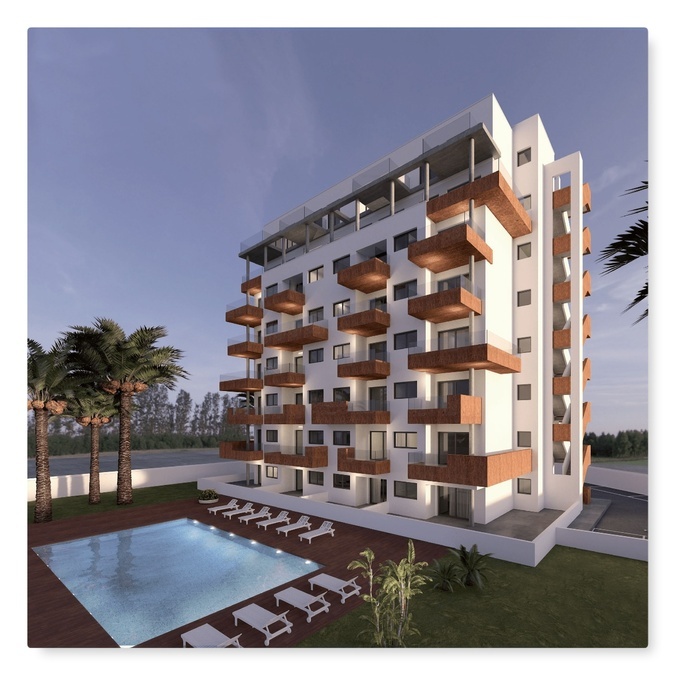 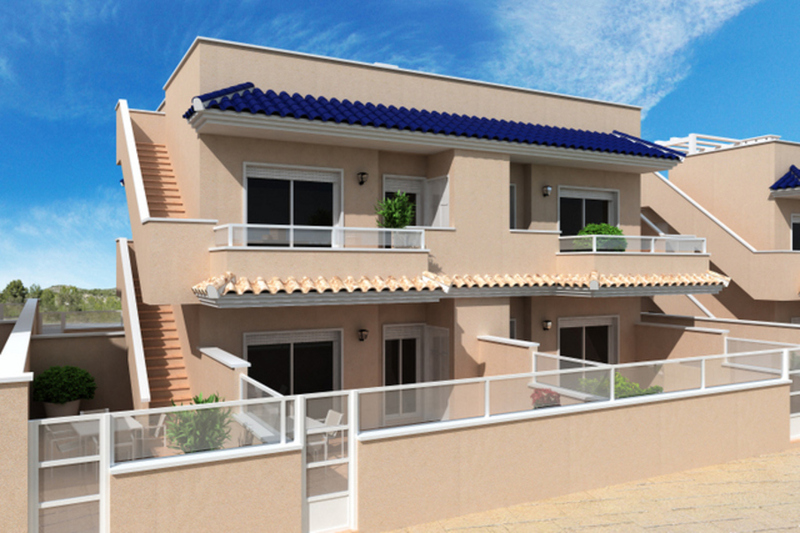 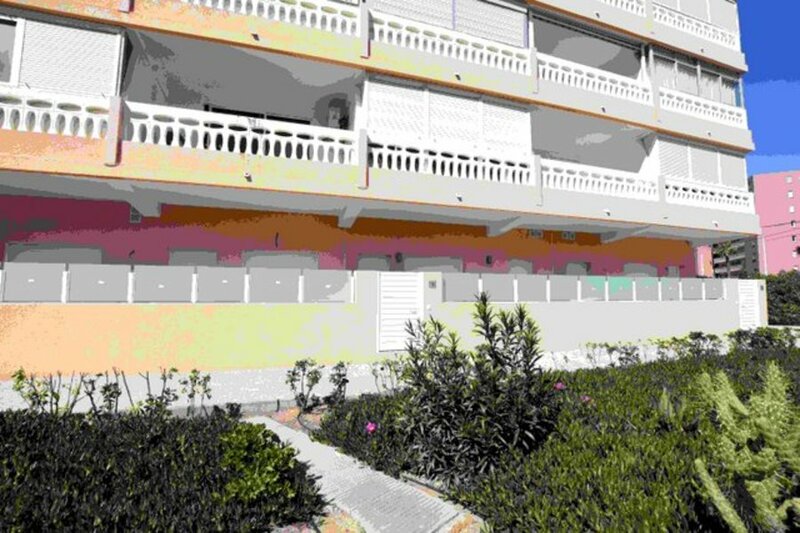 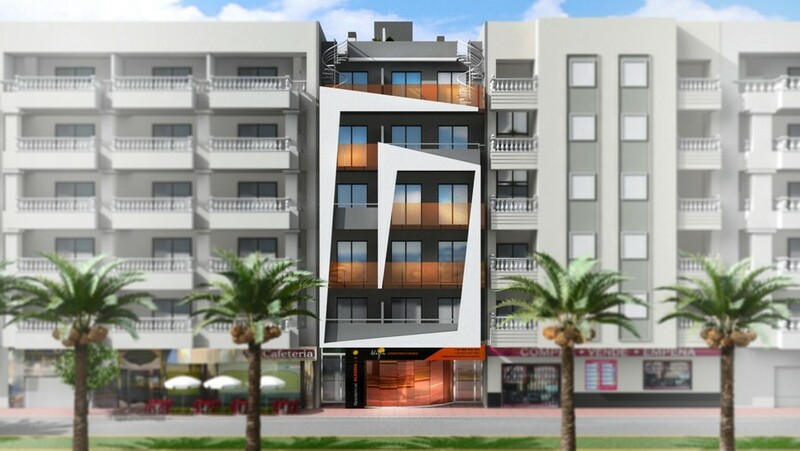 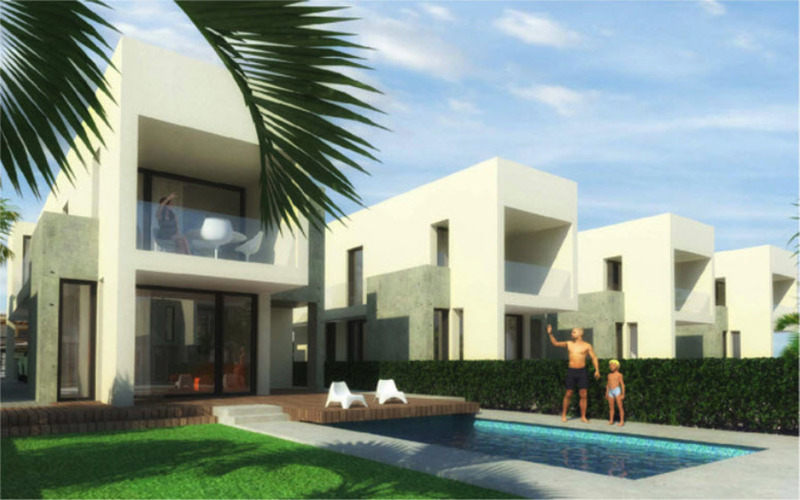 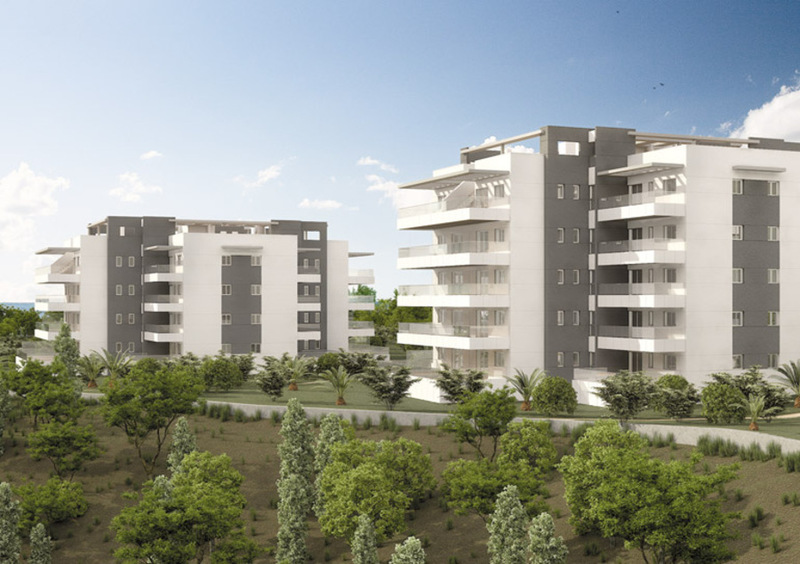 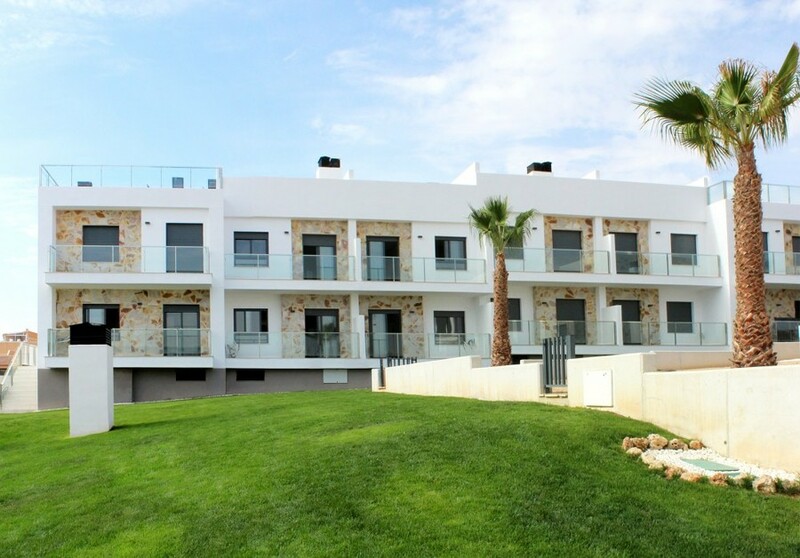 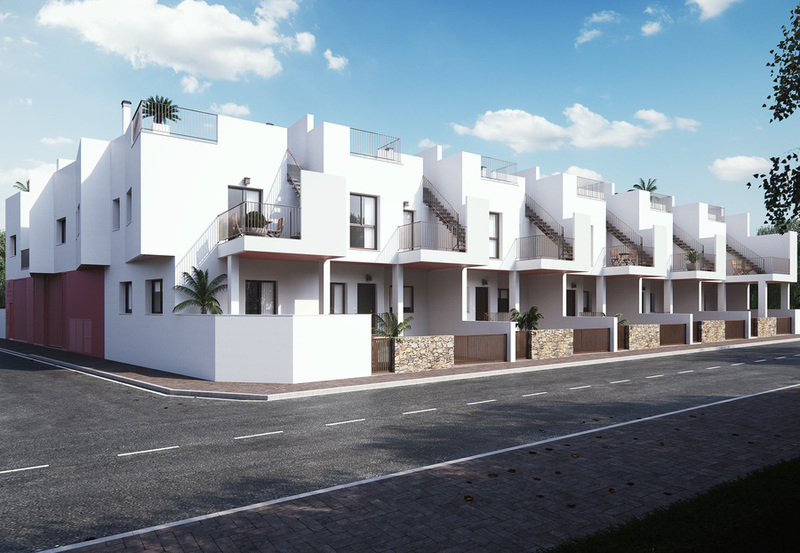 • First floor: 2 bedrooms (with fitted wardrobes) and one of them with terrace, 1 full bathroom with bathtub. 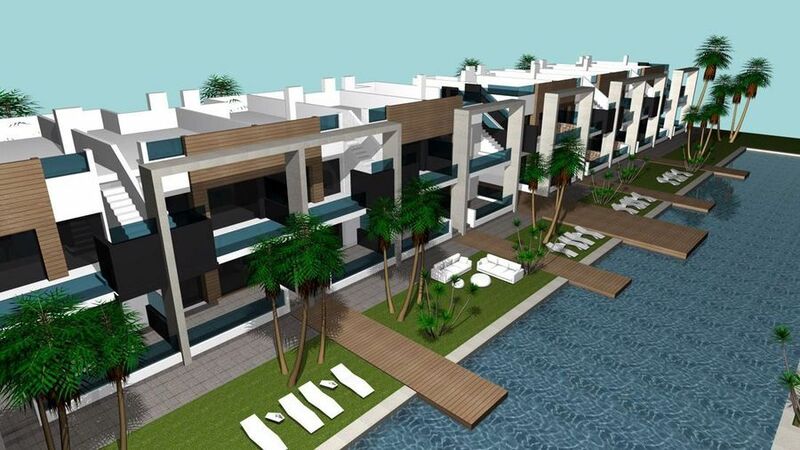 • Second floor: 1 bedroom (with built-in wardrobe), 1 full bathroom with bathtub, and a small storage room.